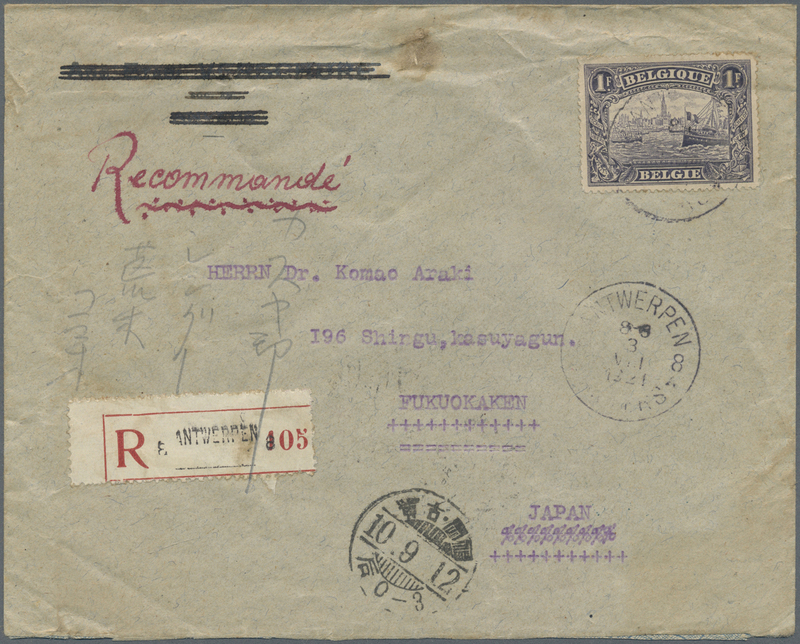 15128 Brief (cover) 99 1912 KAI. 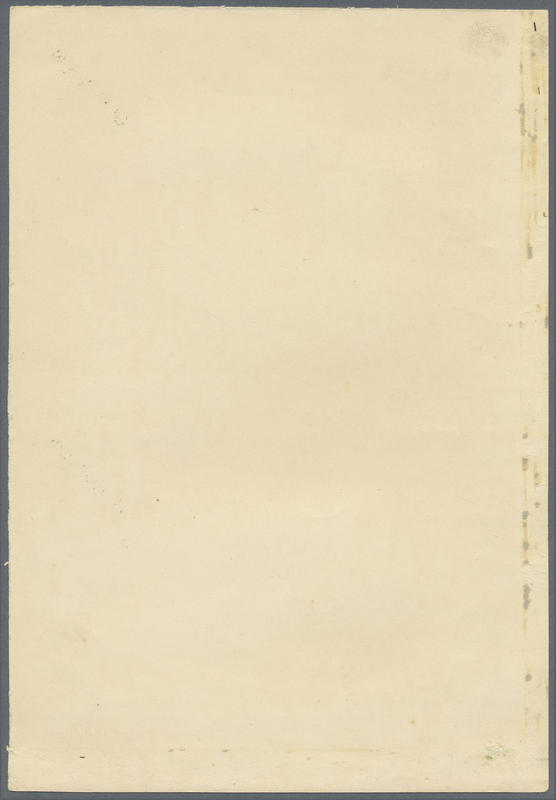 5f. 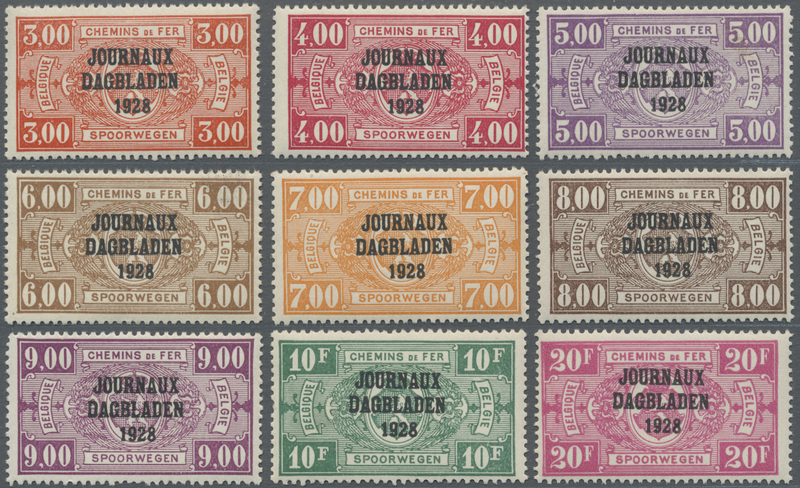 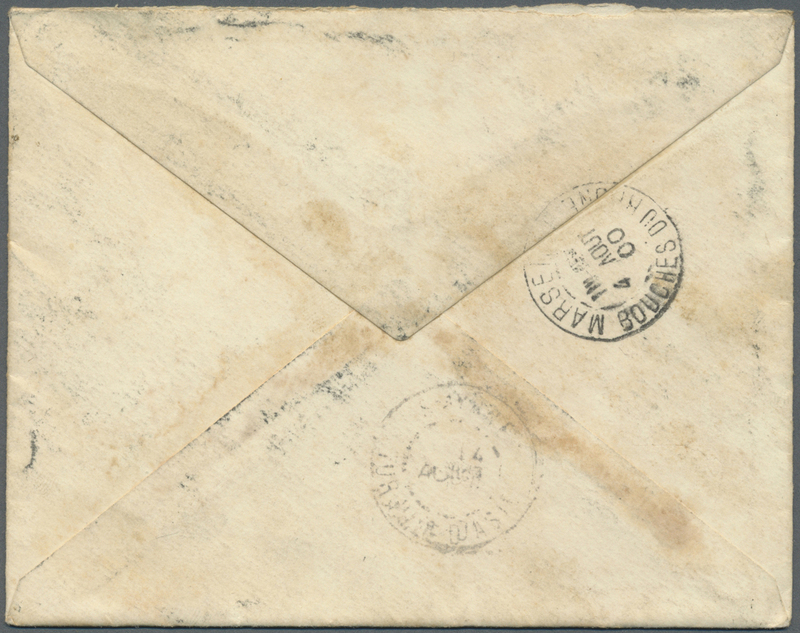 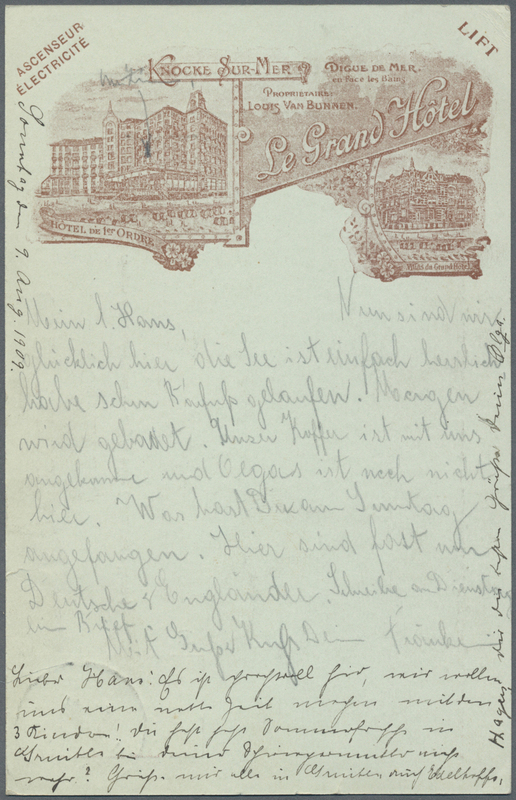 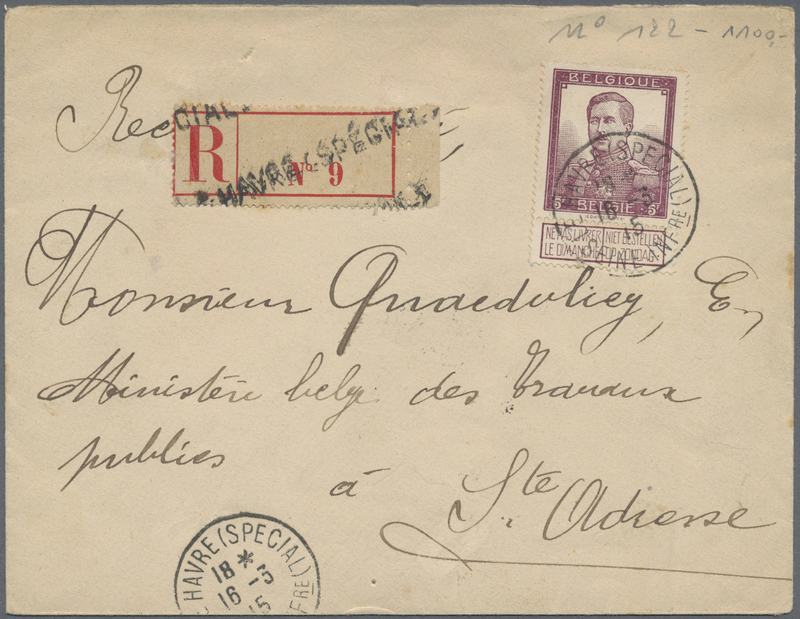 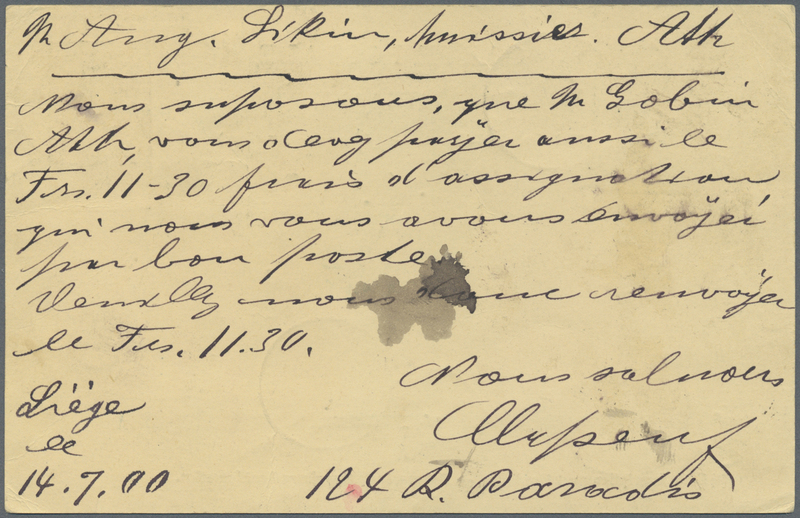 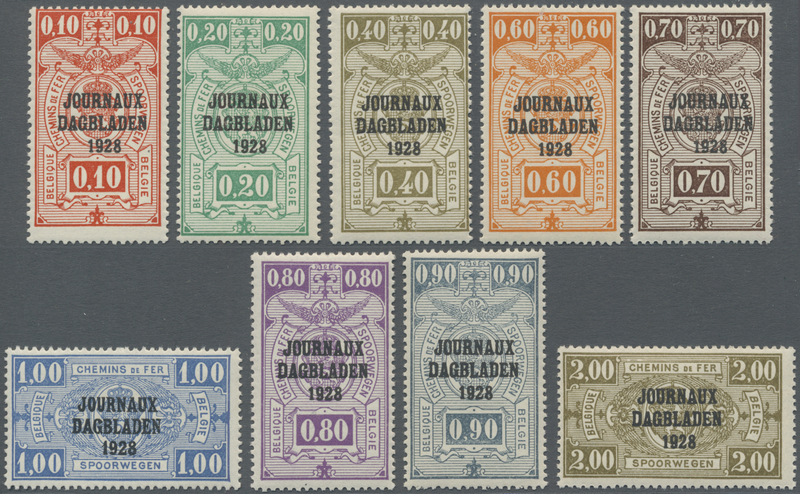 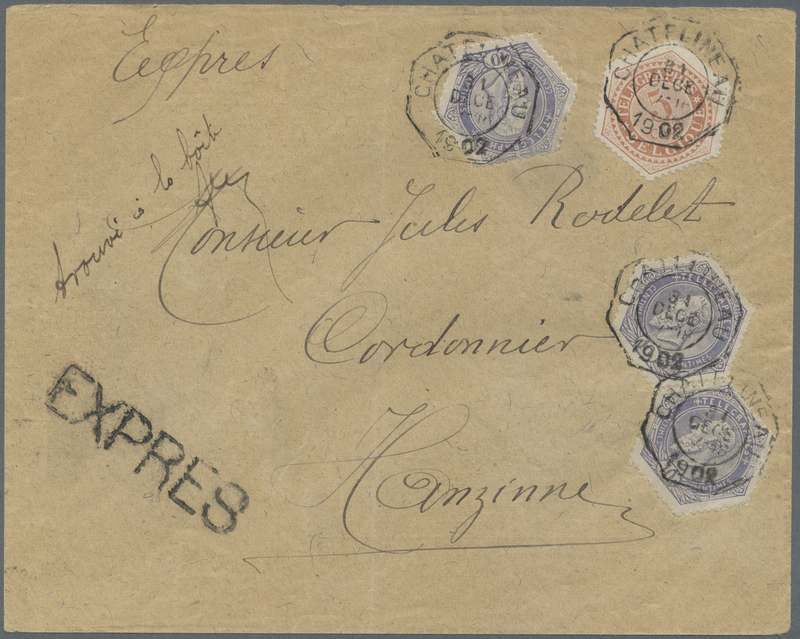 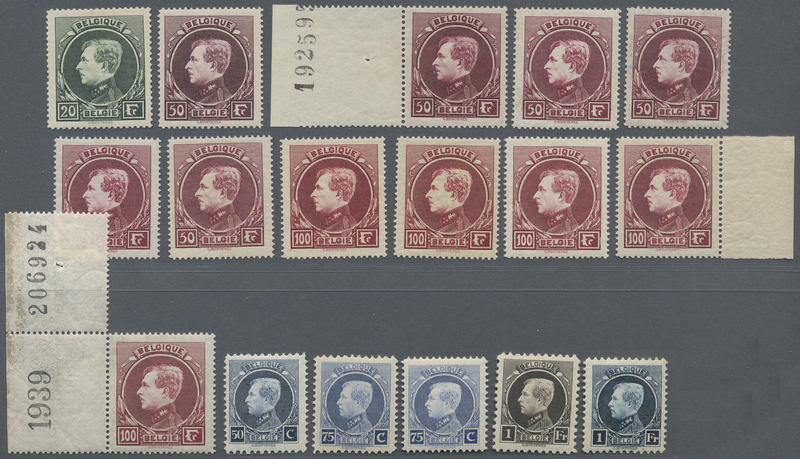 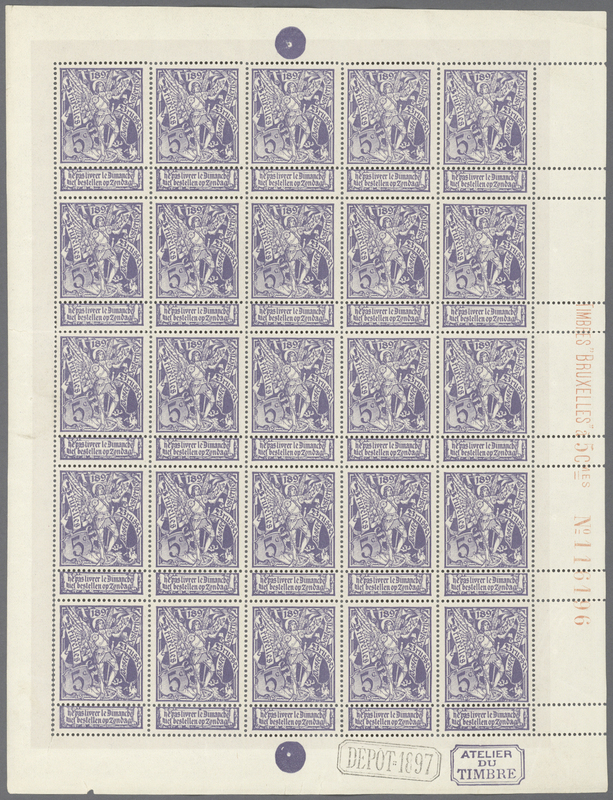 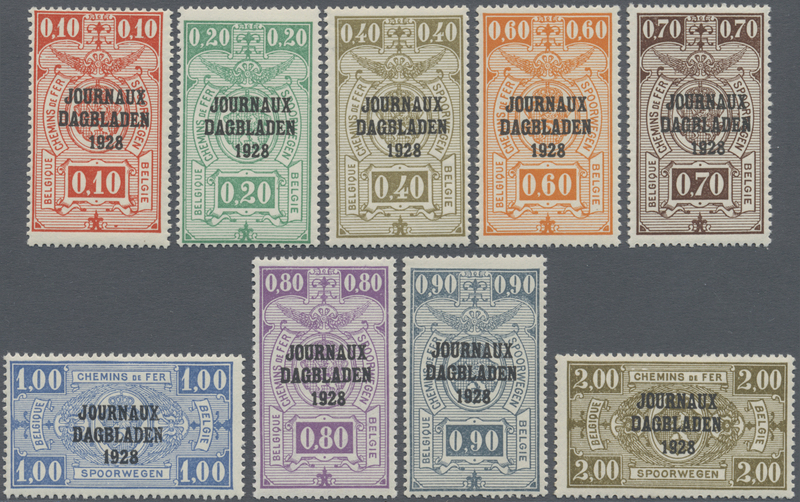 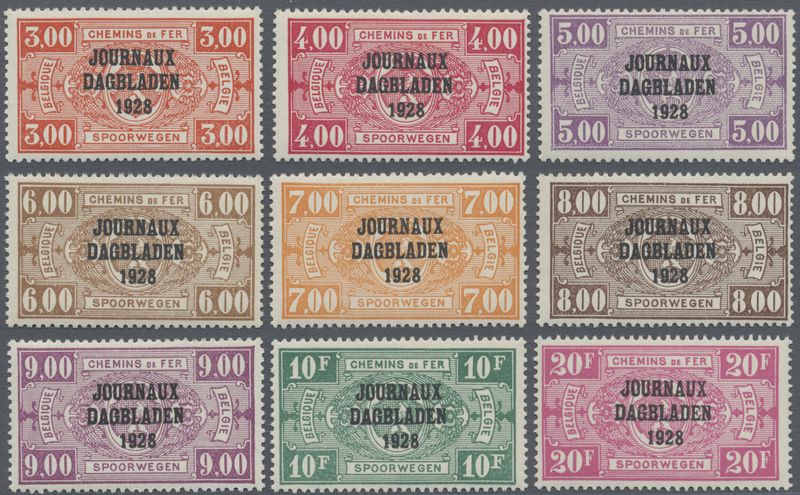 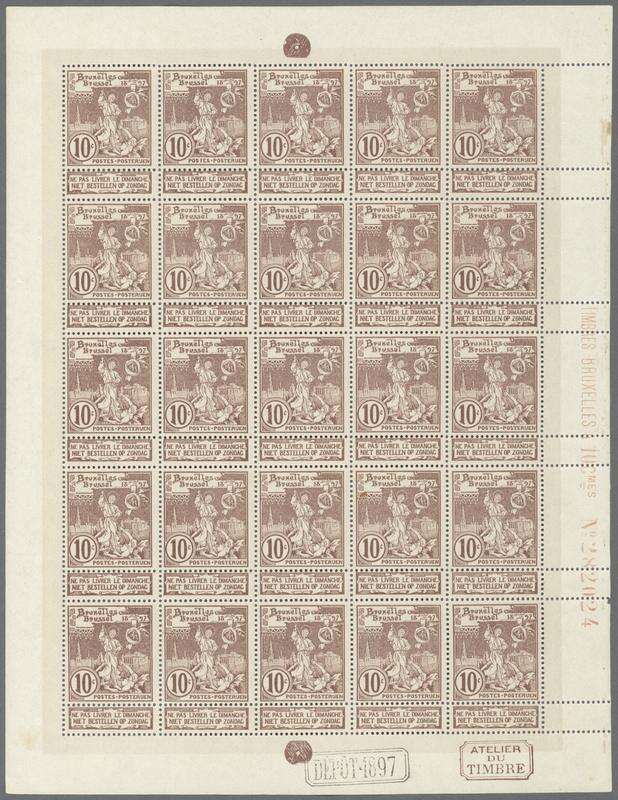 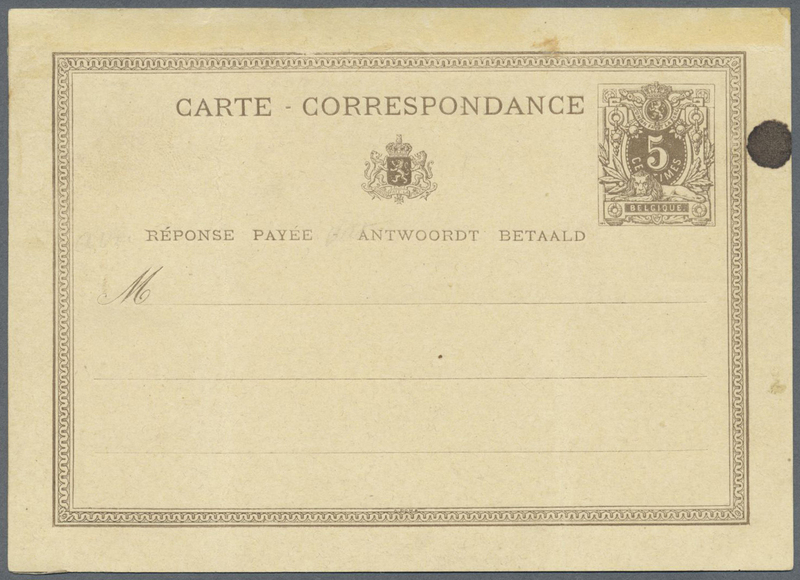 lilac-brown with tab used as single franking on 1915 registered cover, used from Le Havre to a Belgian Minister at St. Adresse, tied by superb strike of "LE HAVRE (SPECIAL) SEINE INF.re/1-3/15" cds, Reg. 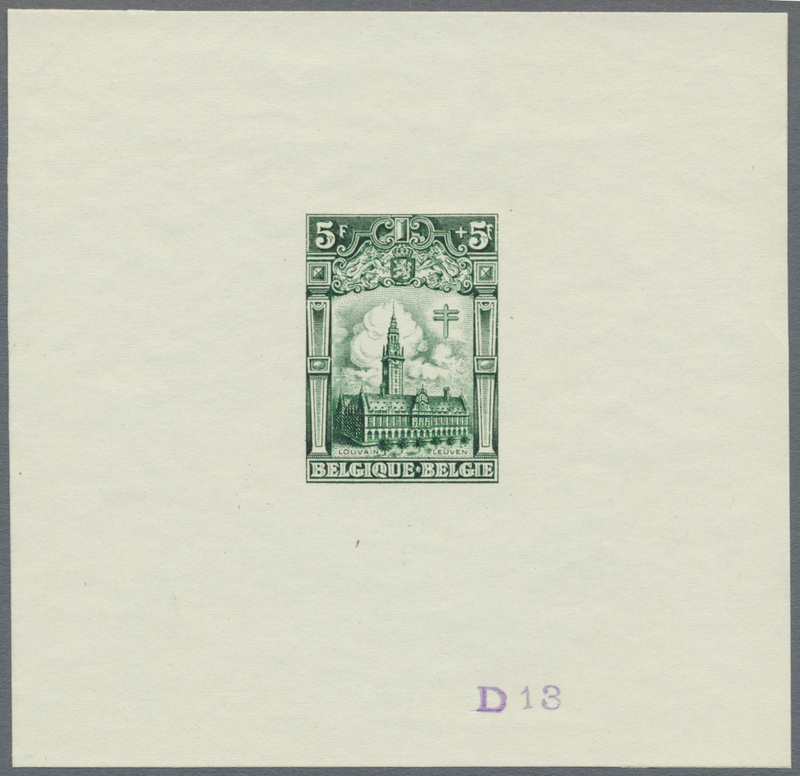 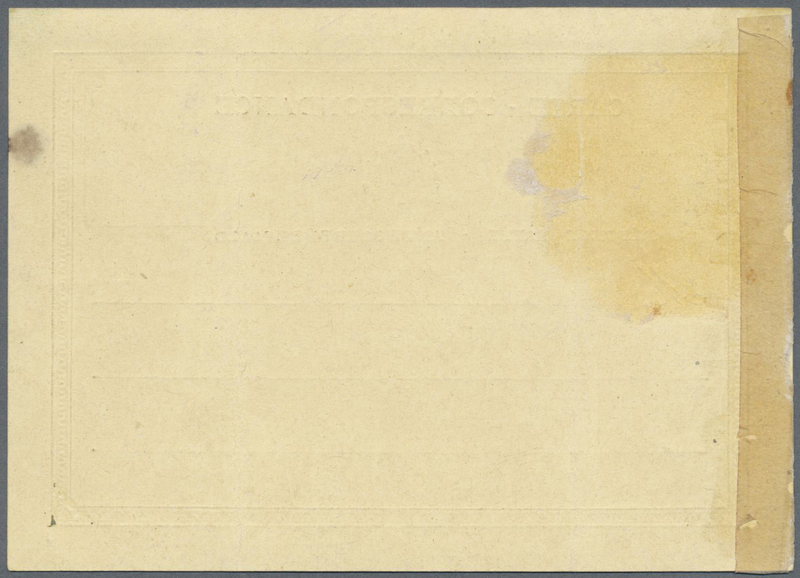 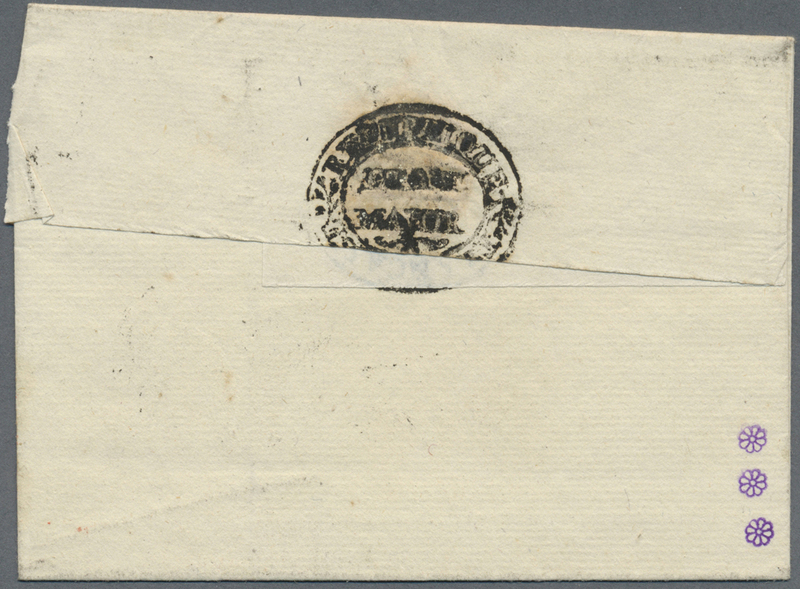 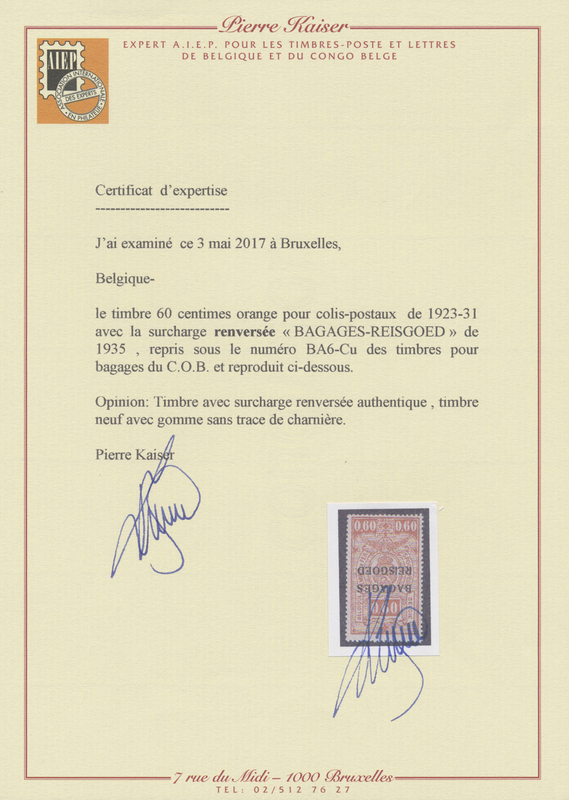 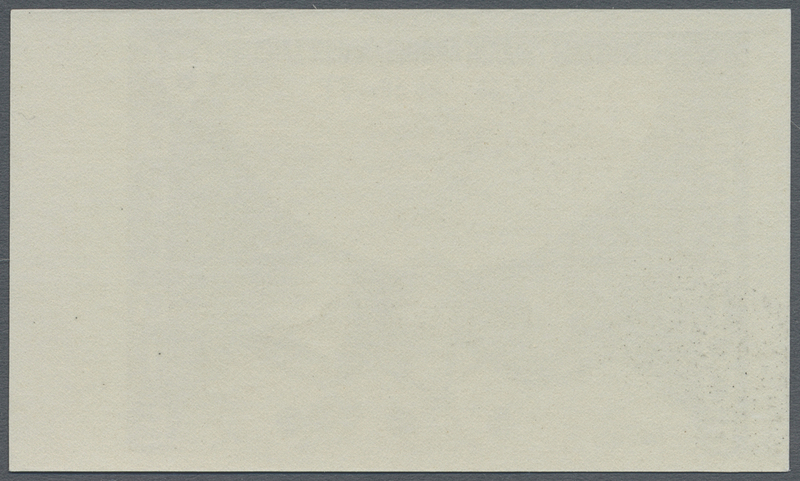 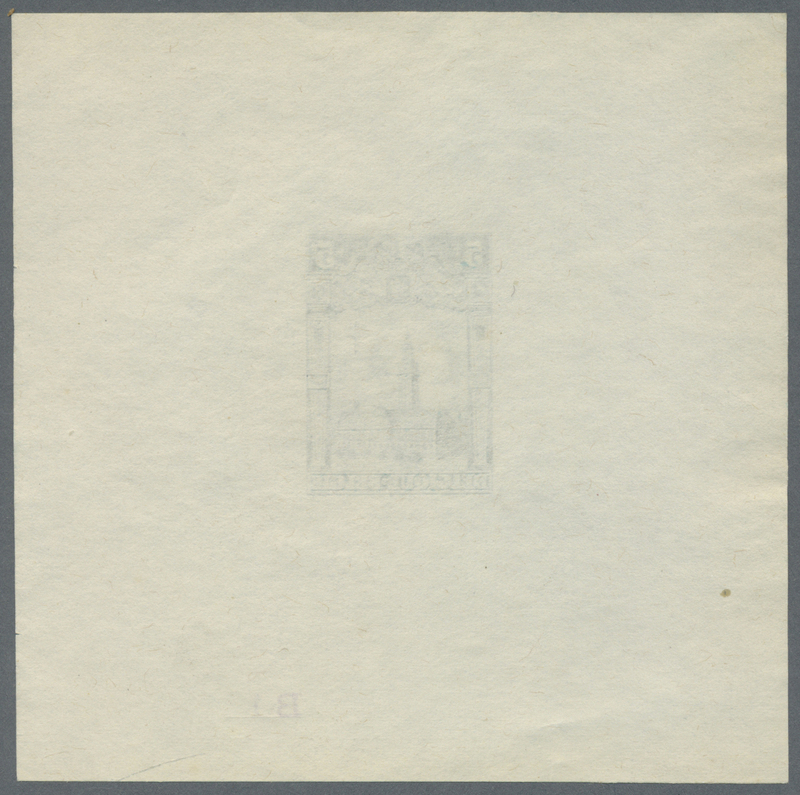 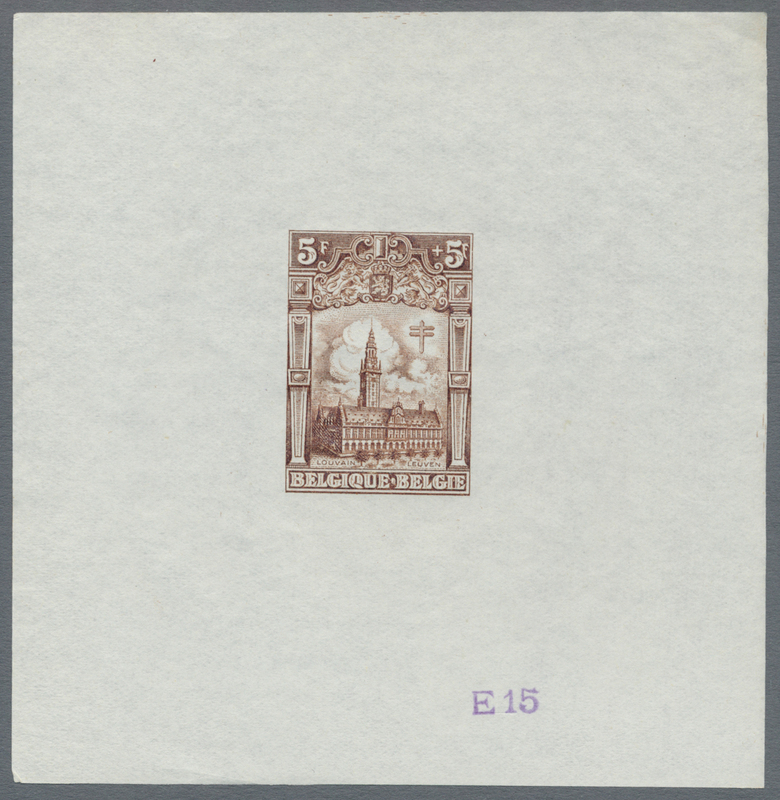 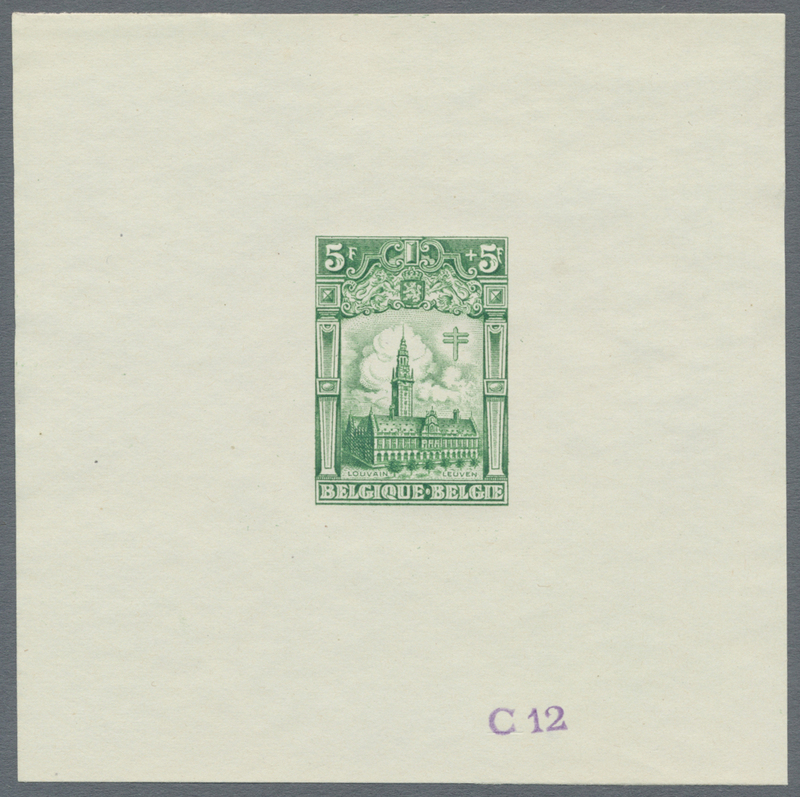 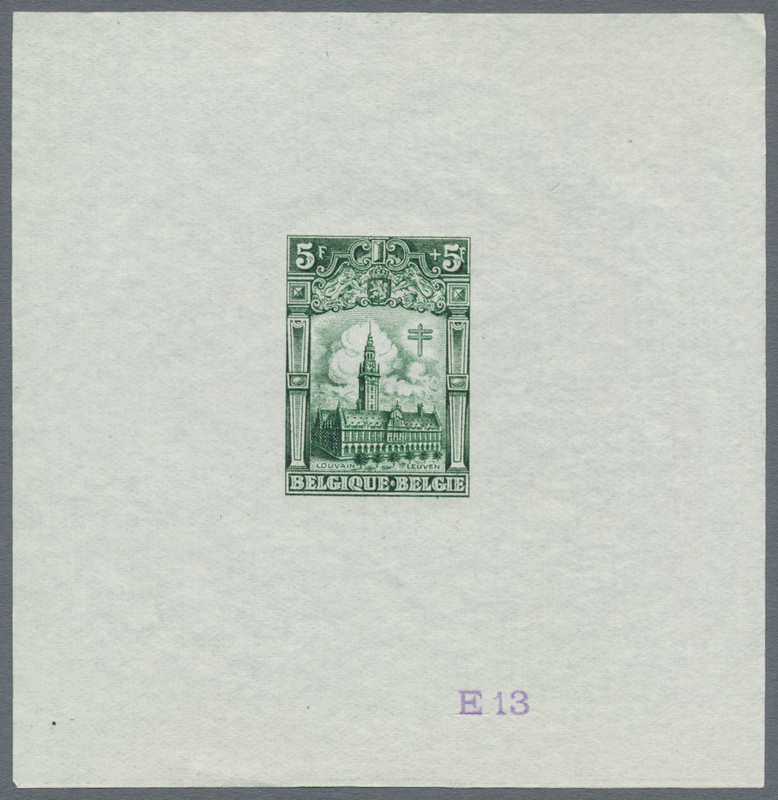 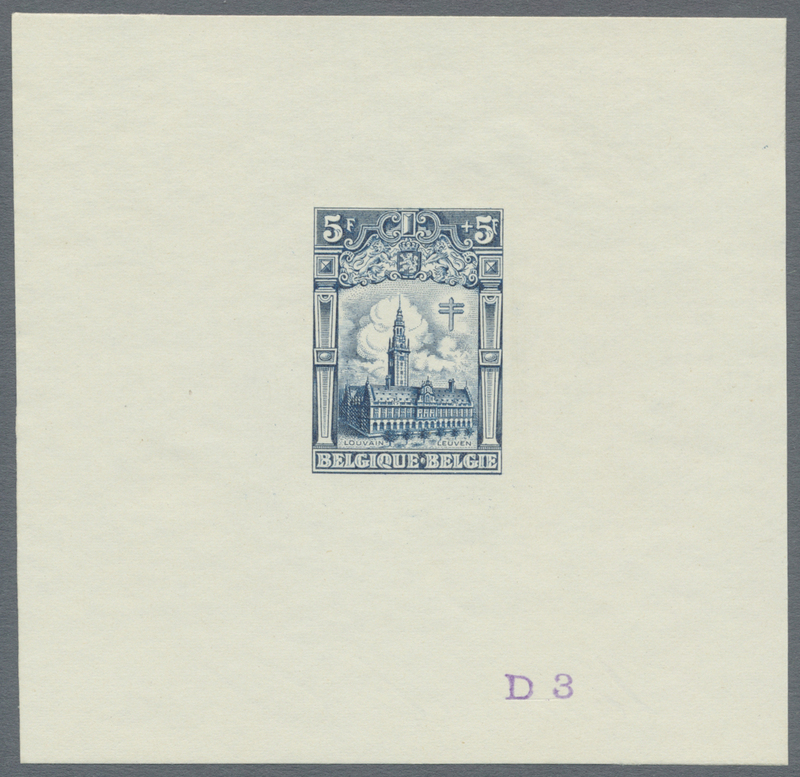 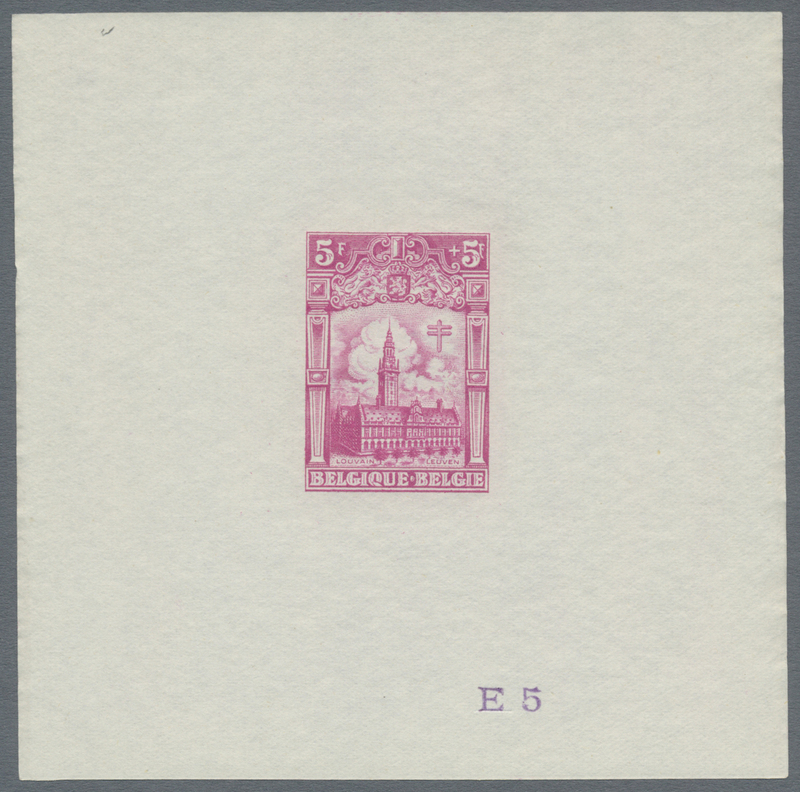 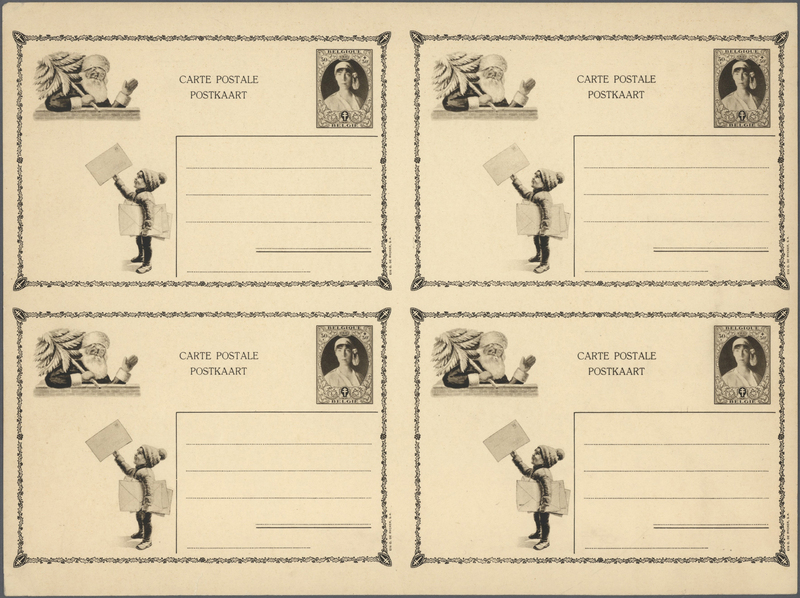 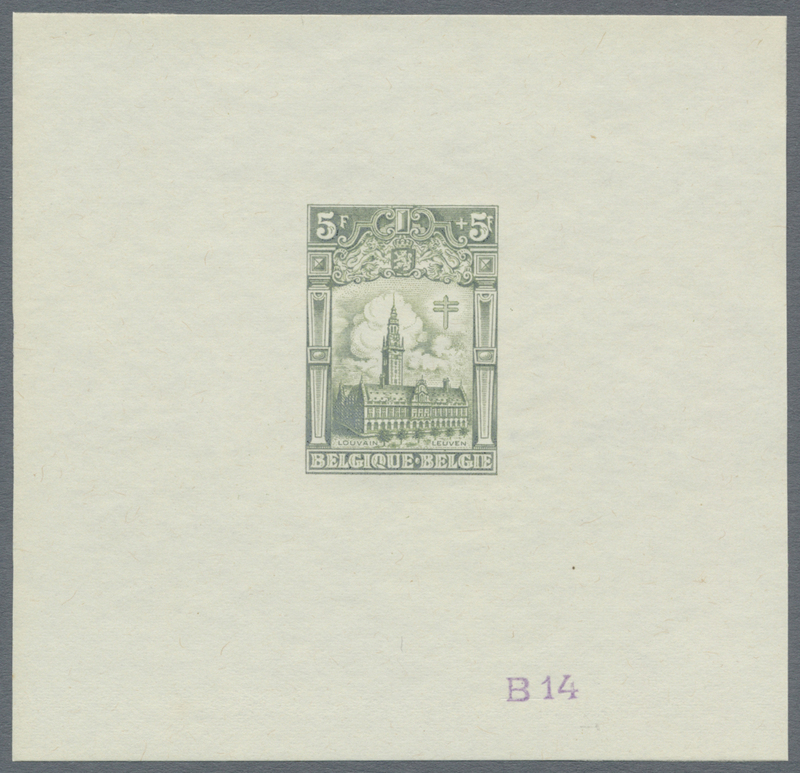 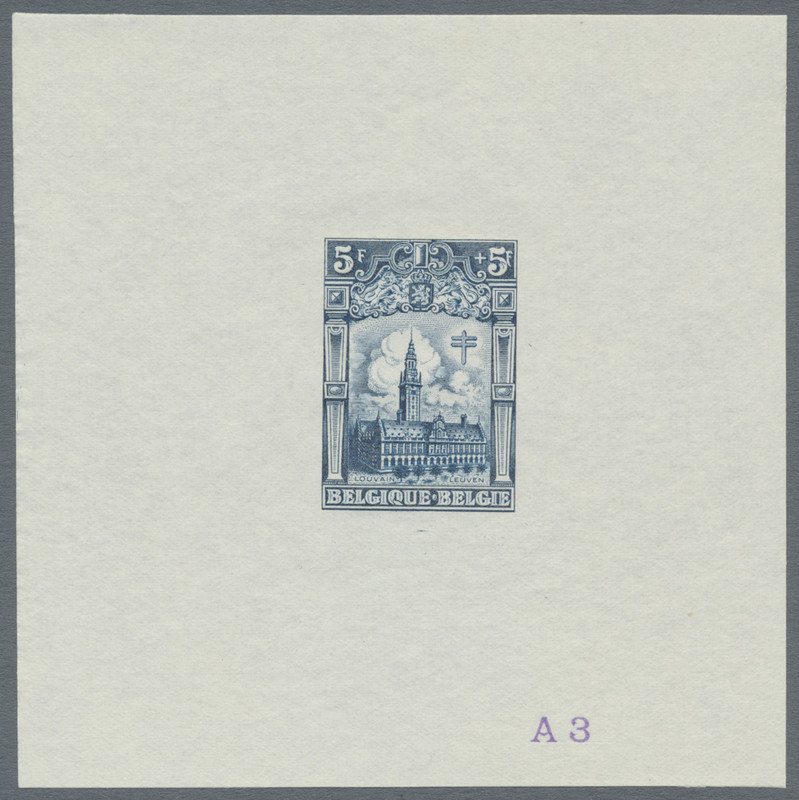 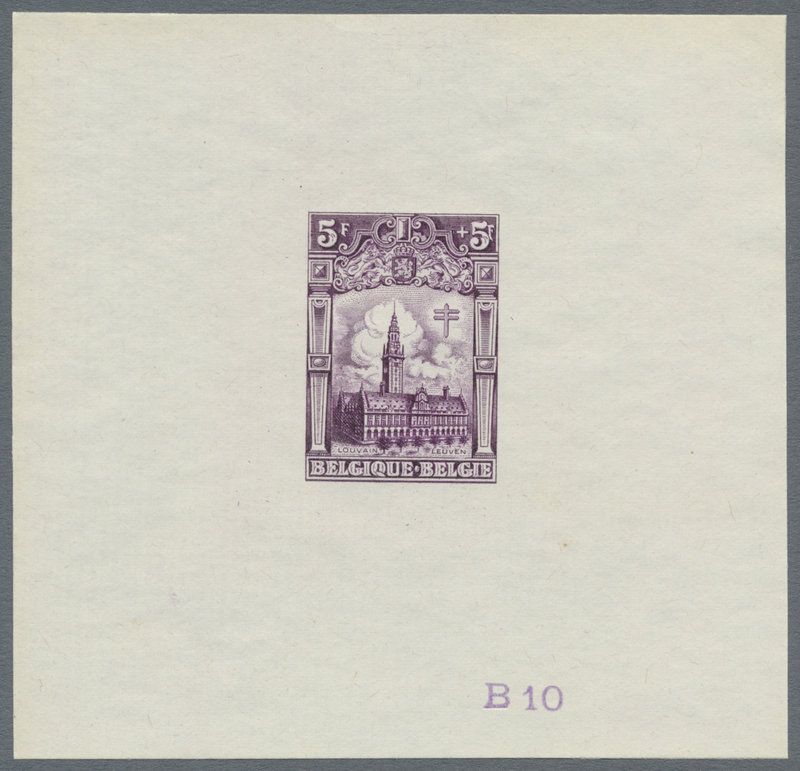 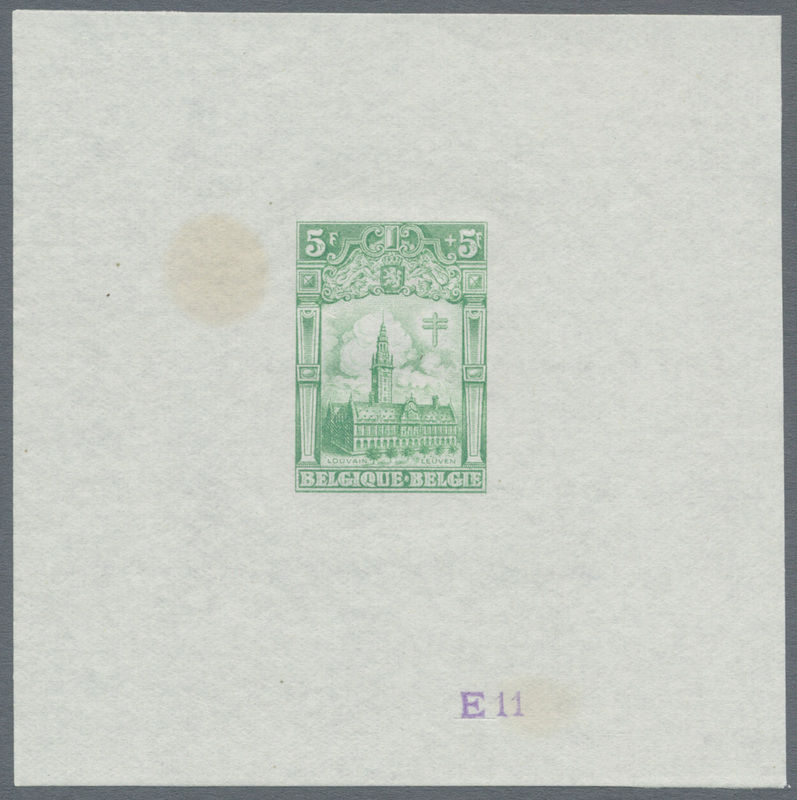 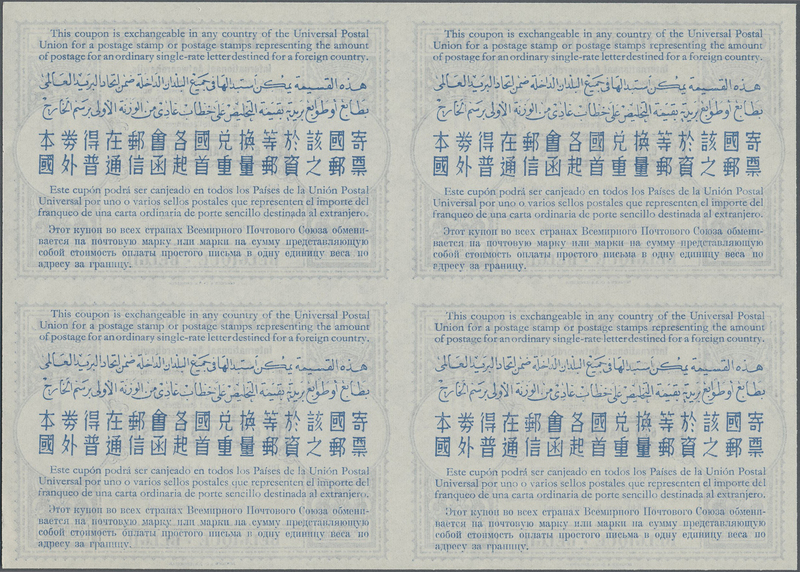 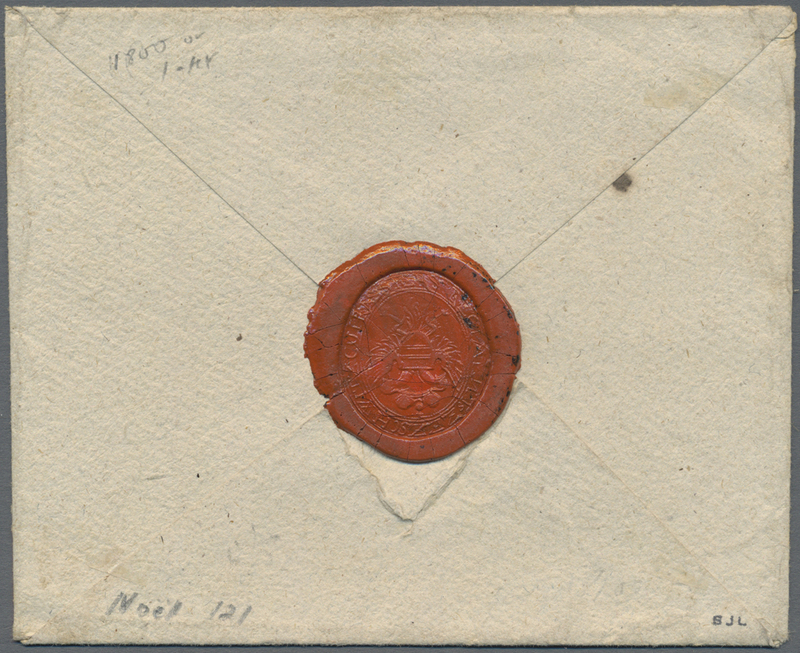 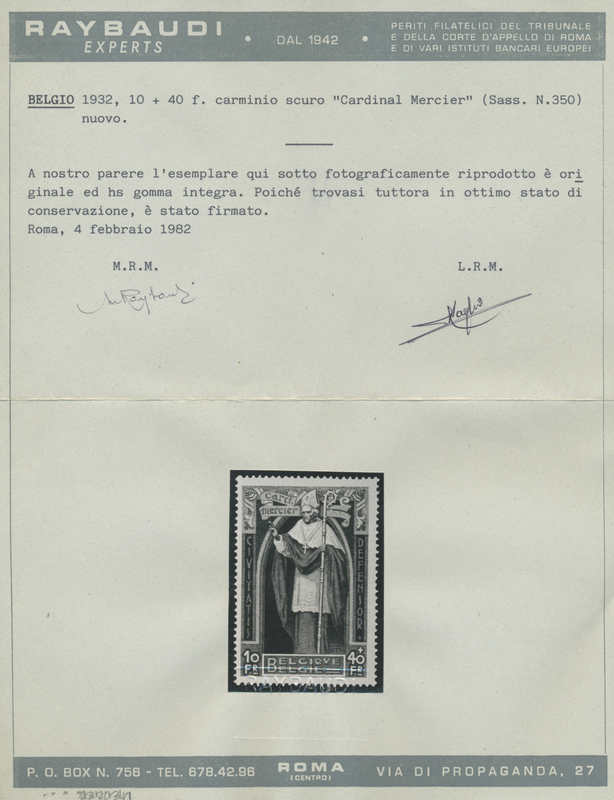 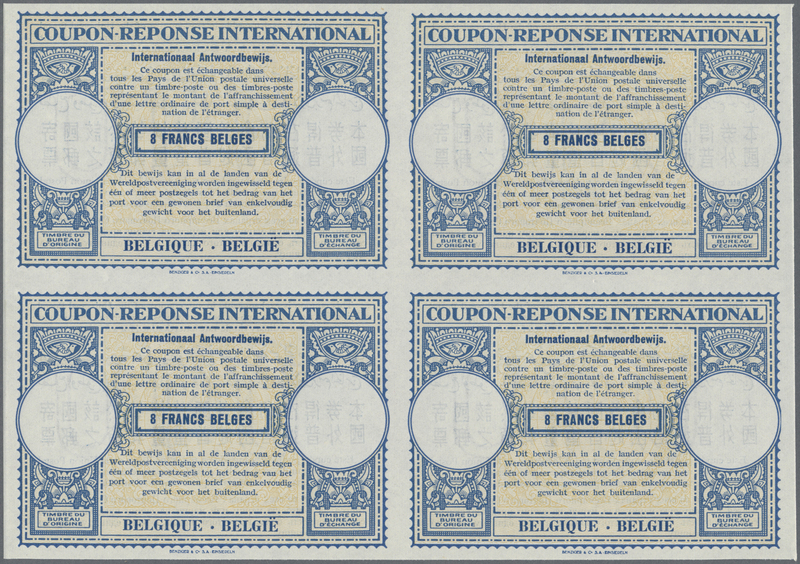 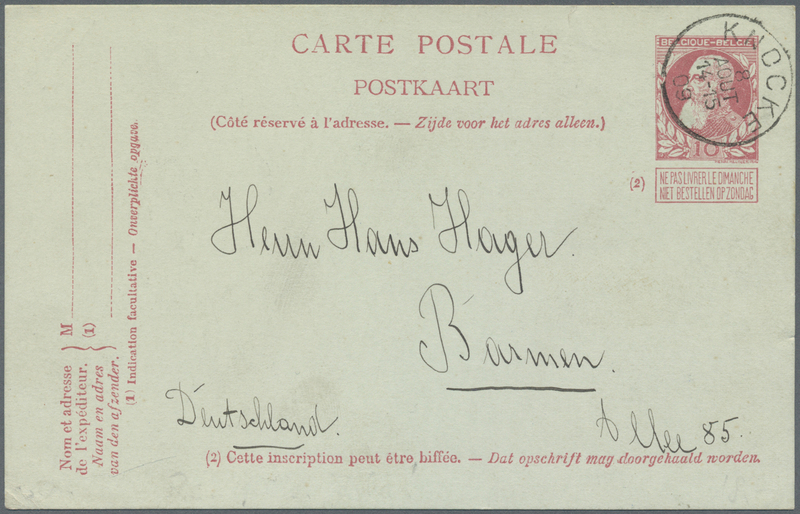 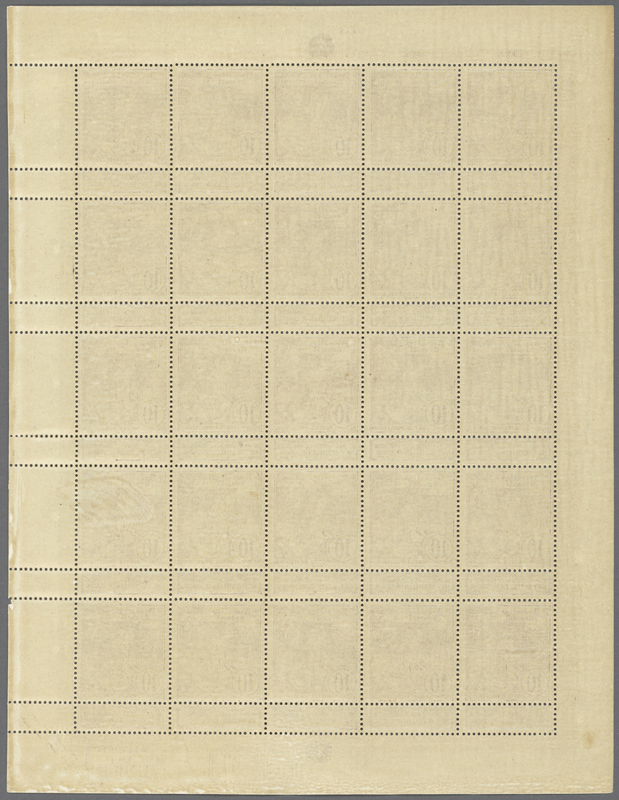 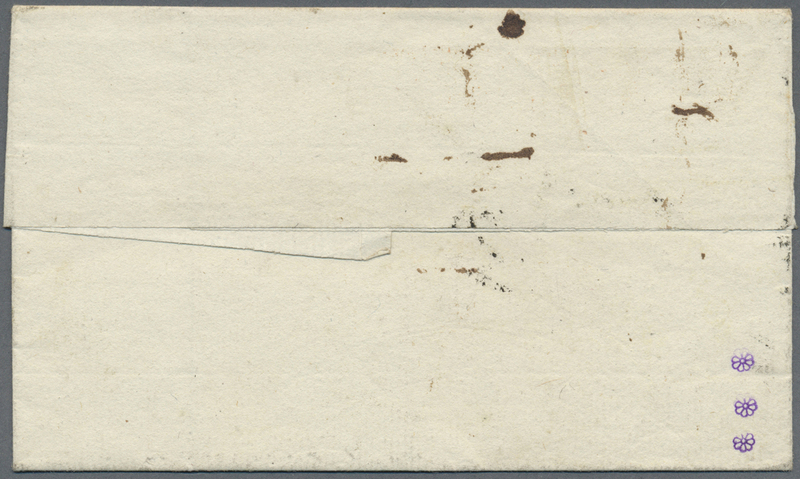 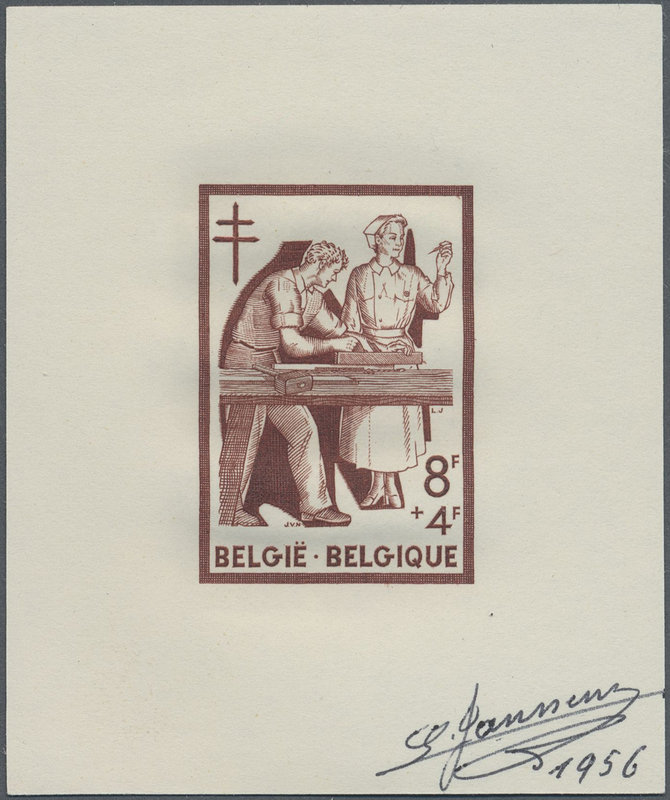 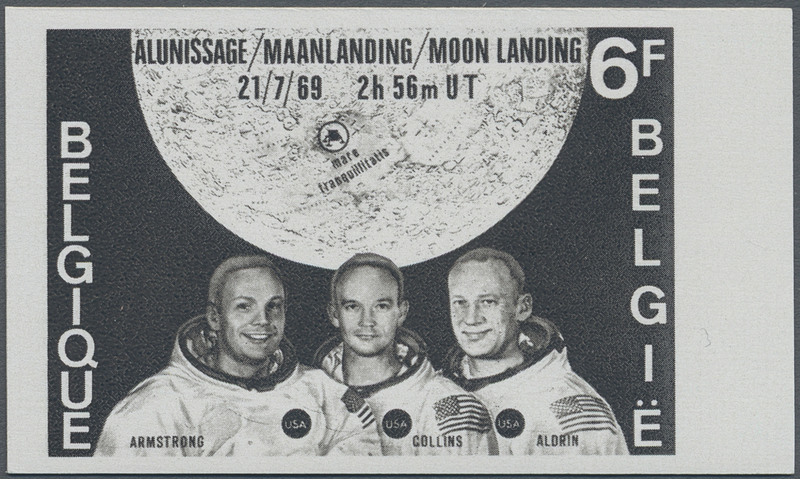 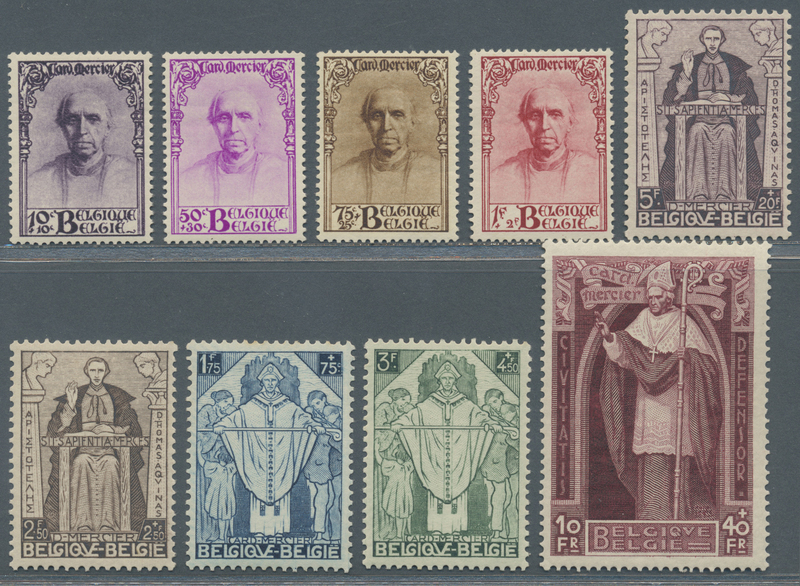 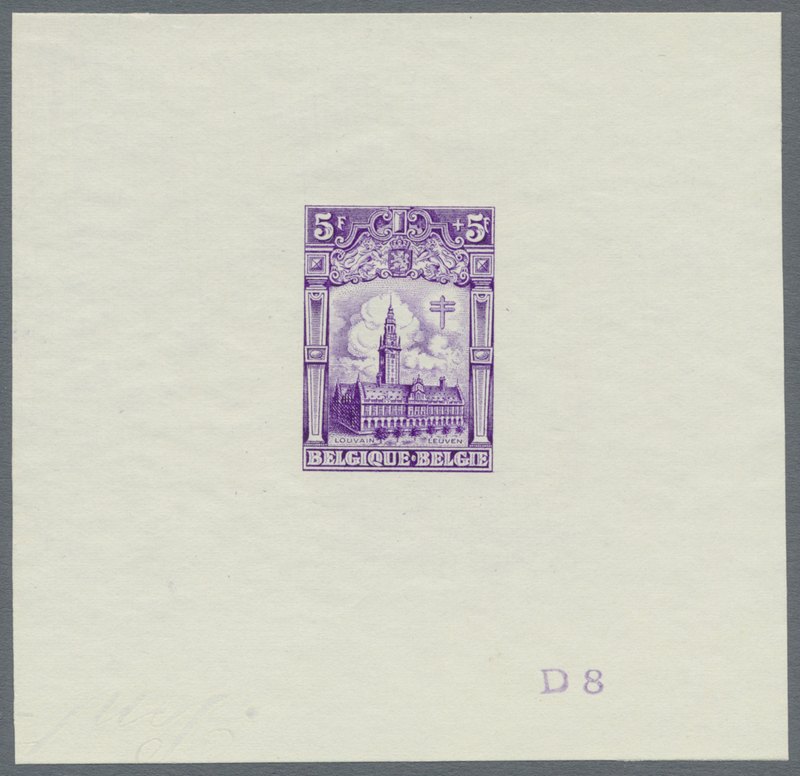 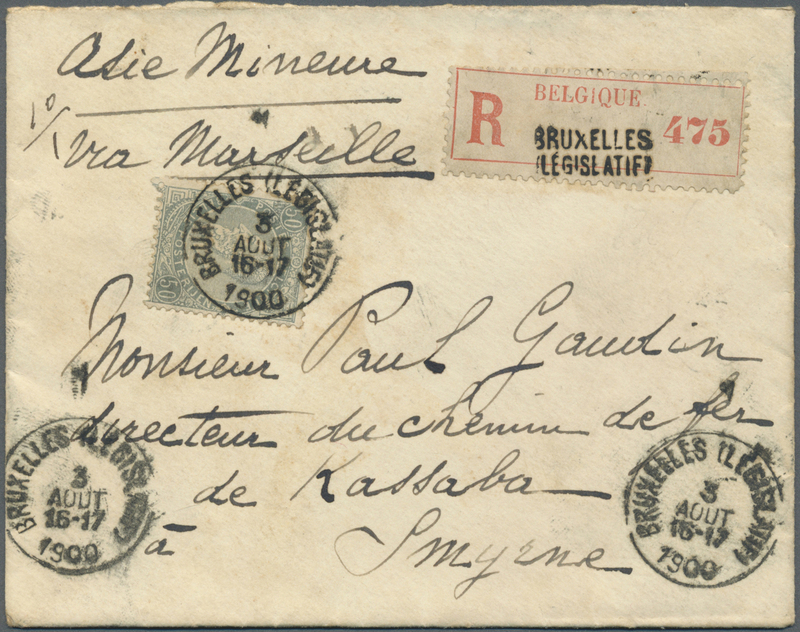 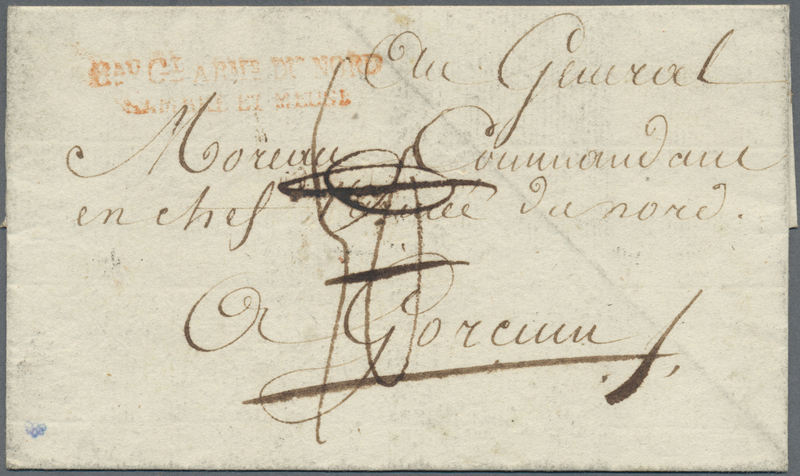 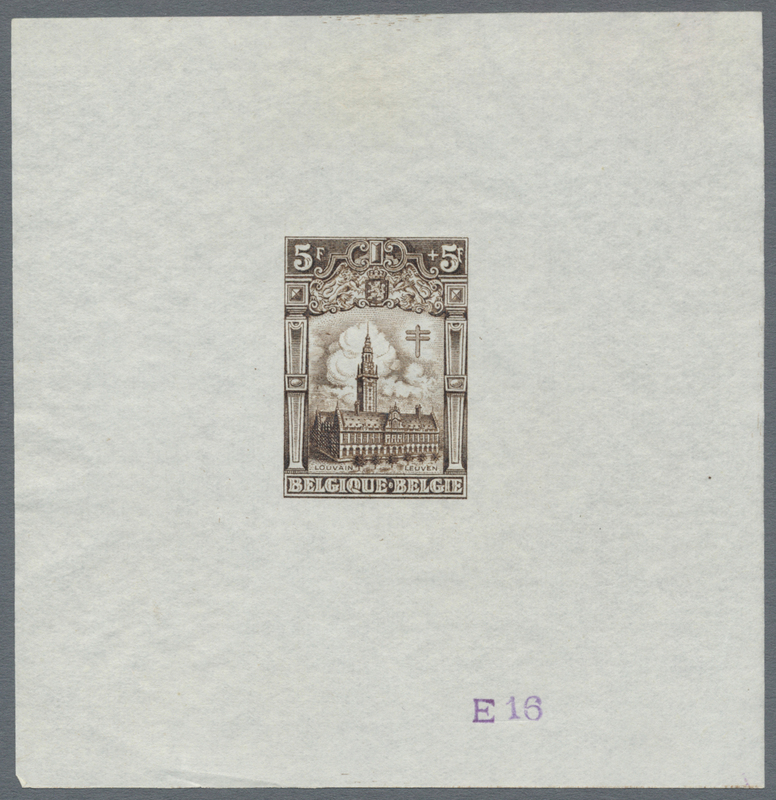 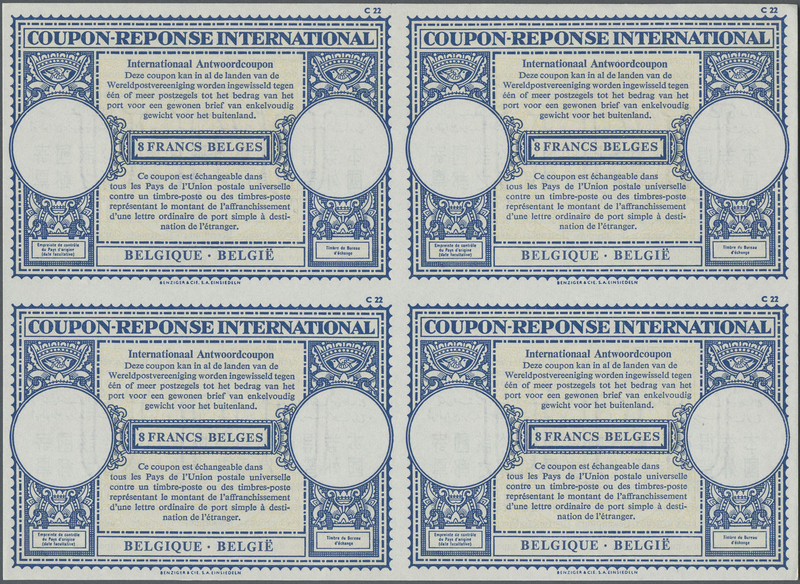 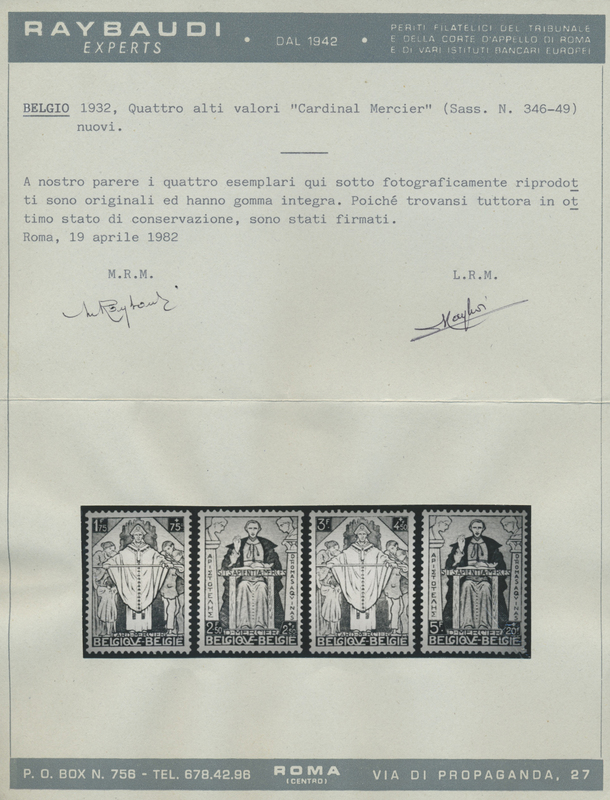 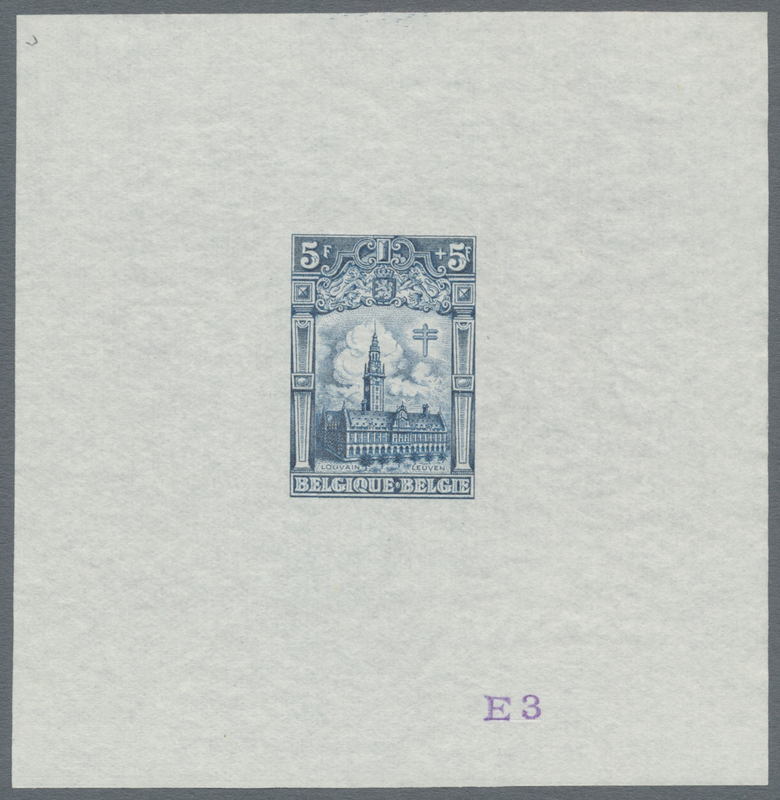 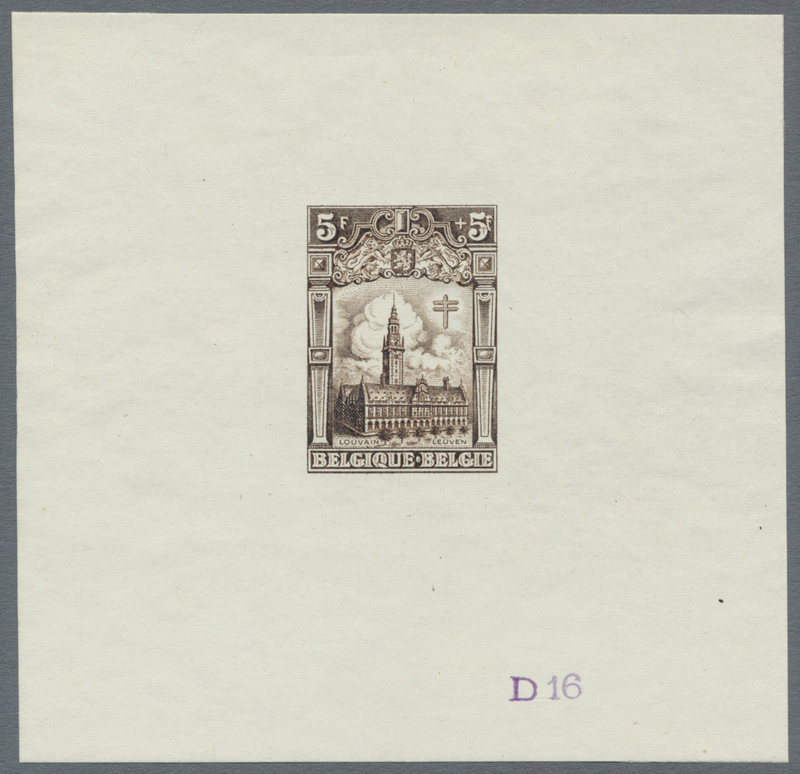 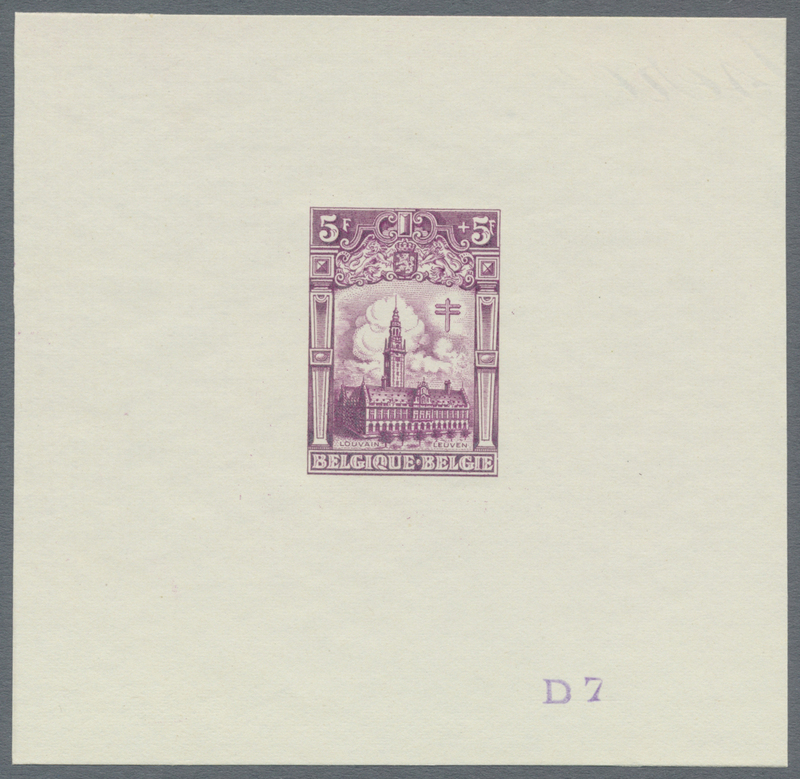 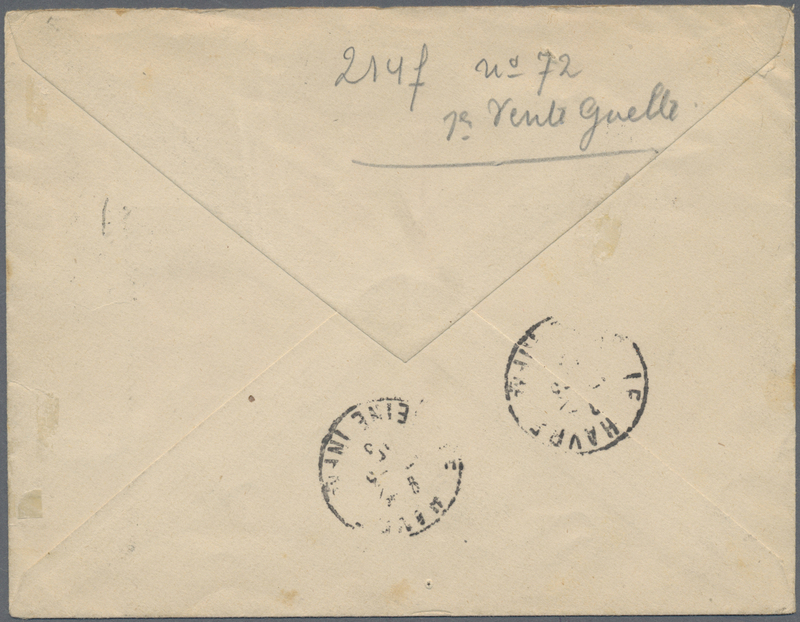 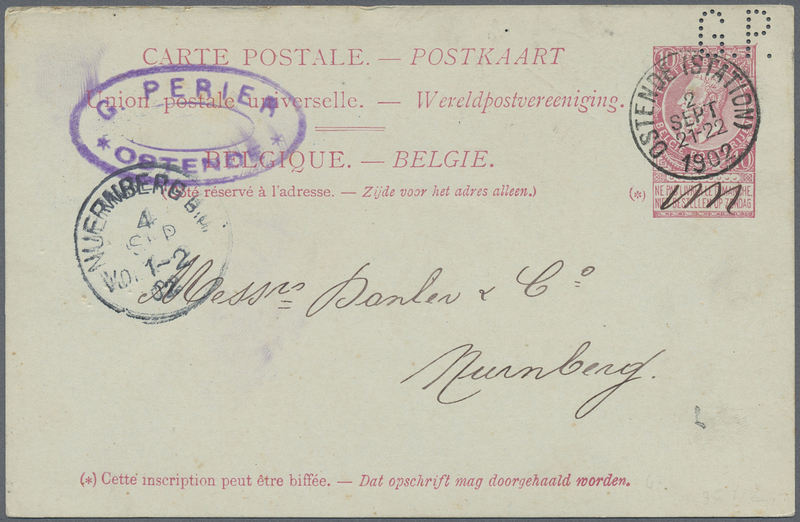 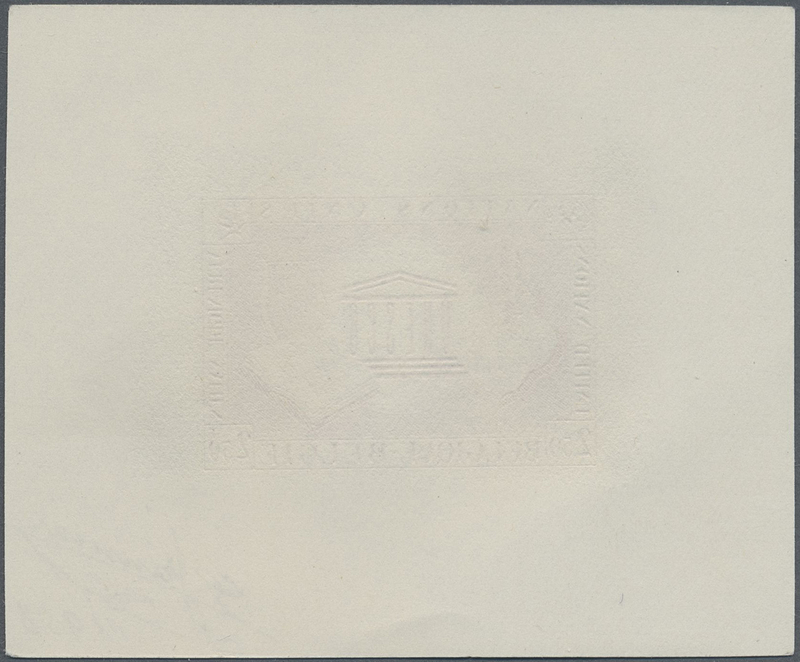 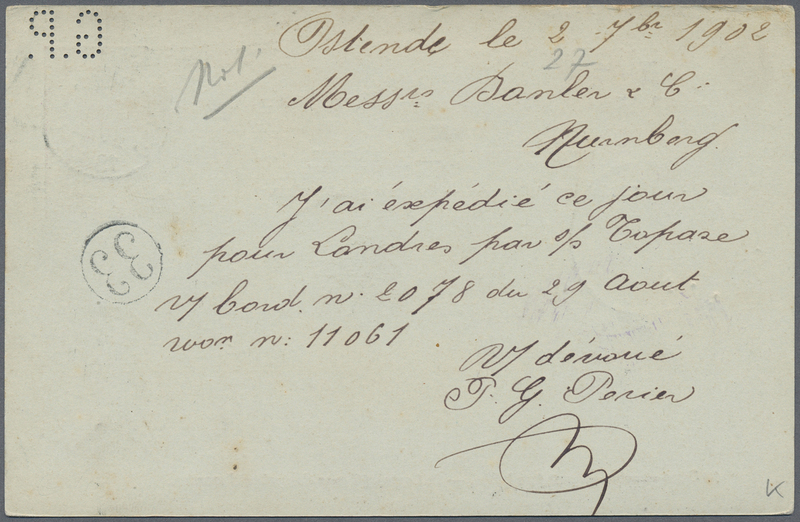 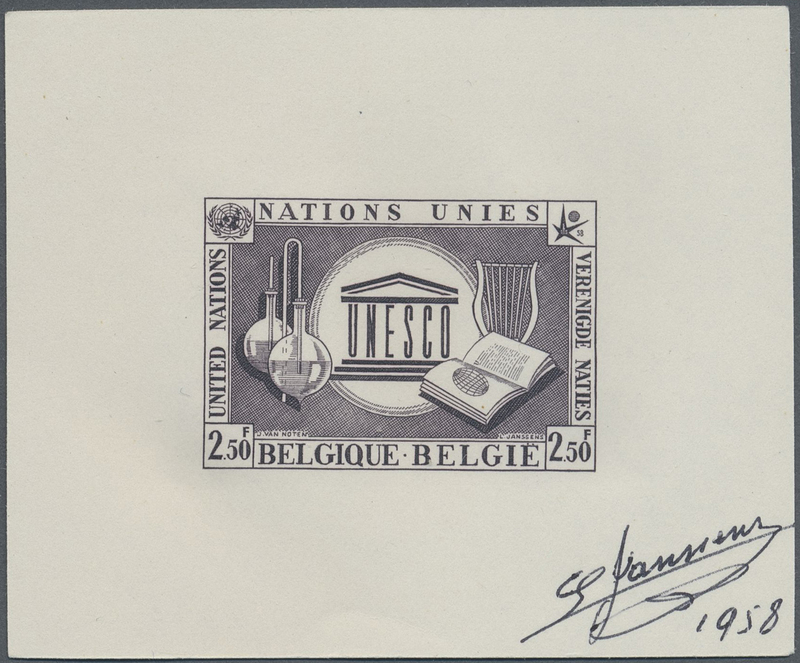 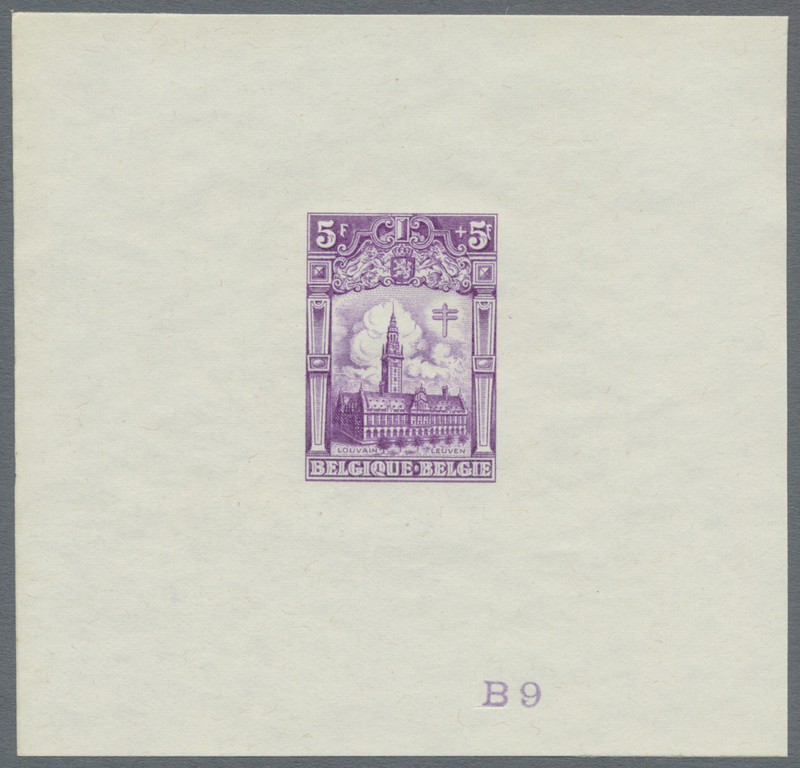 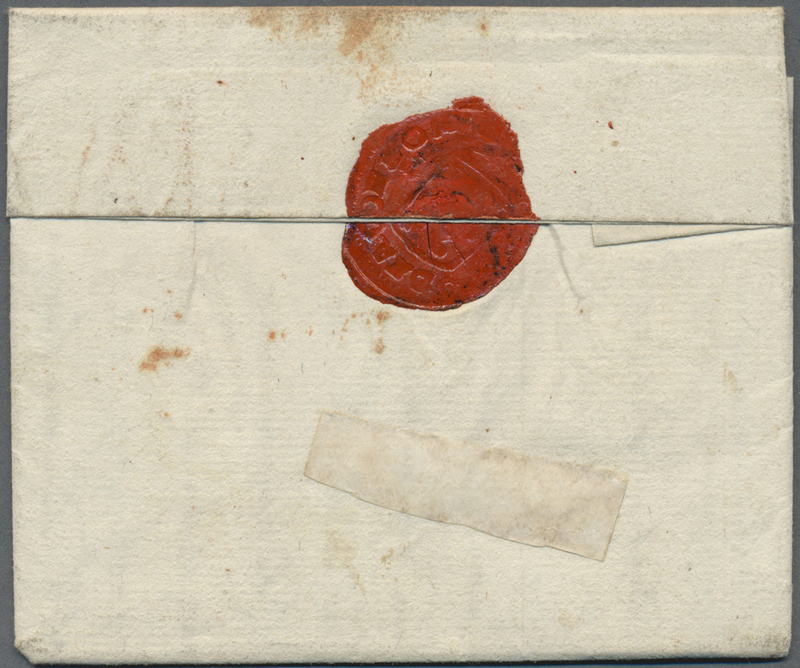 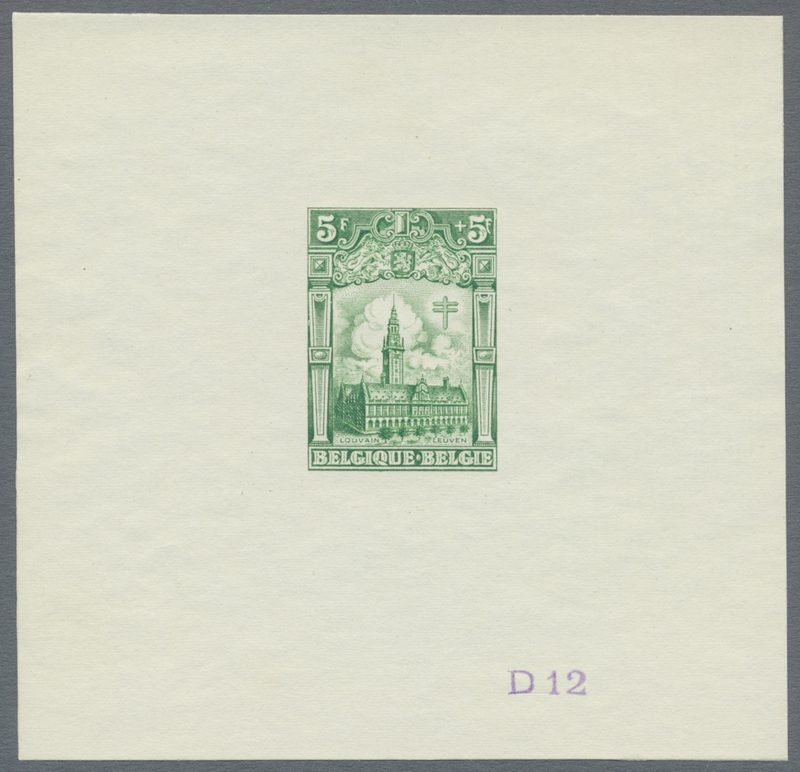 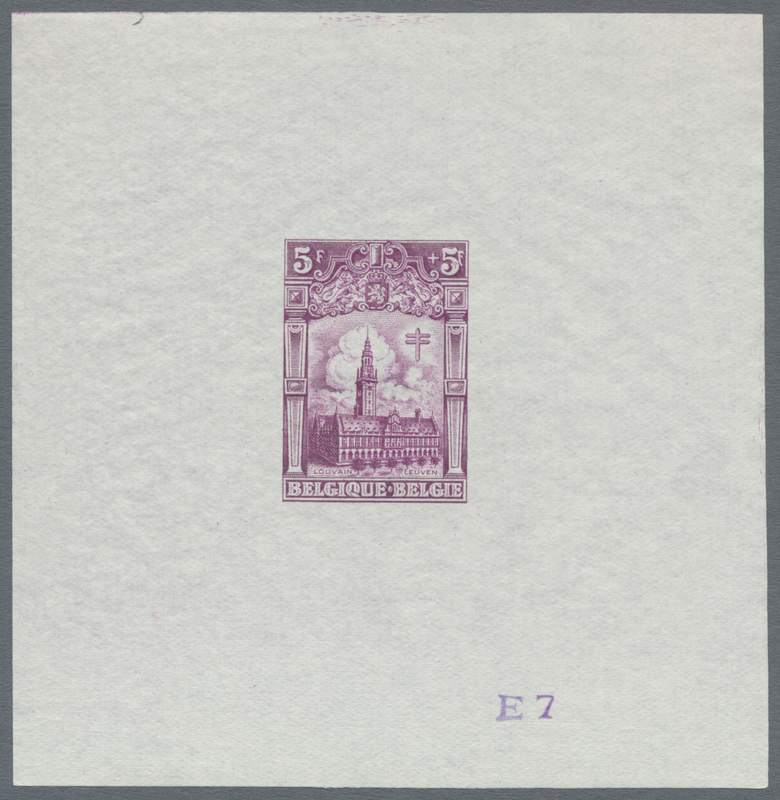 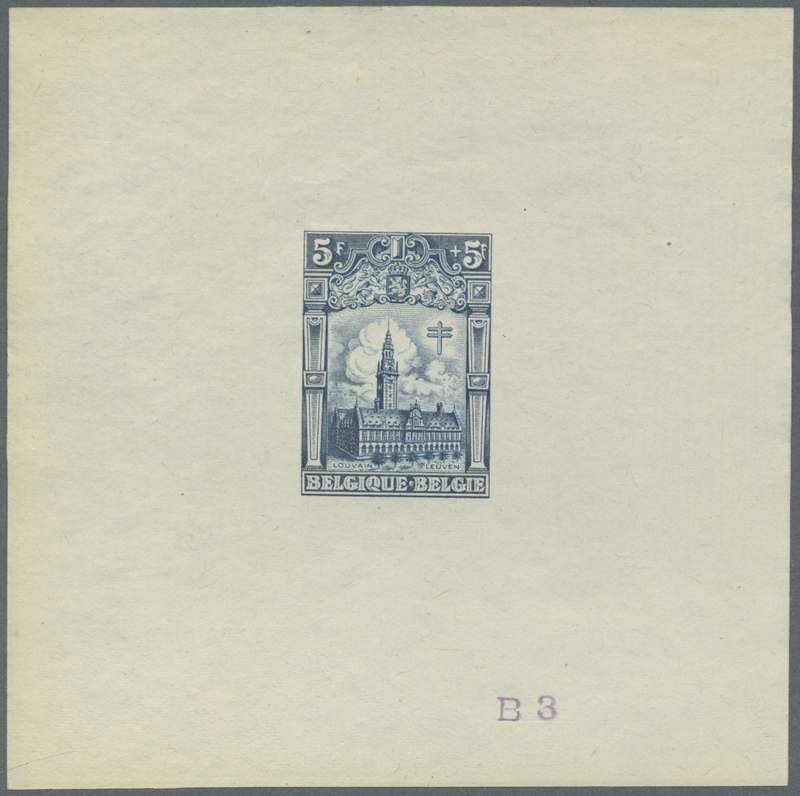 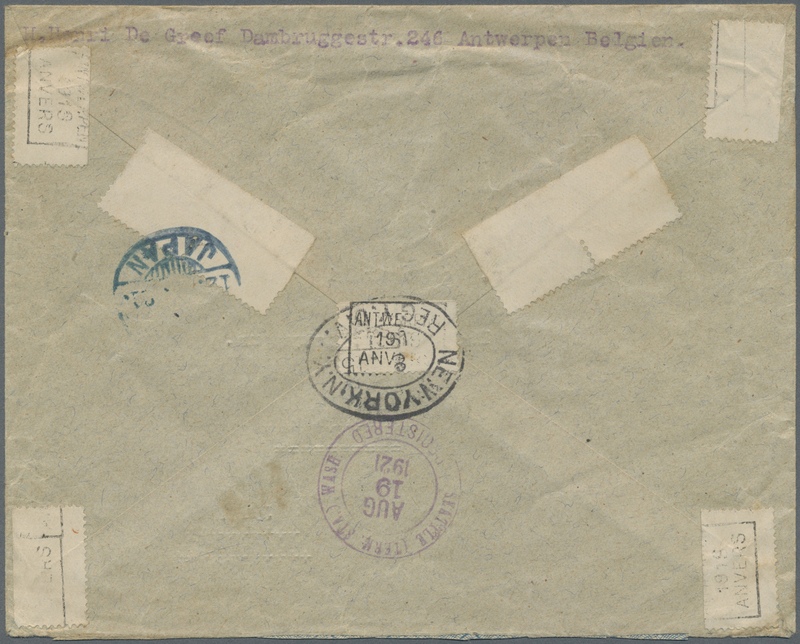 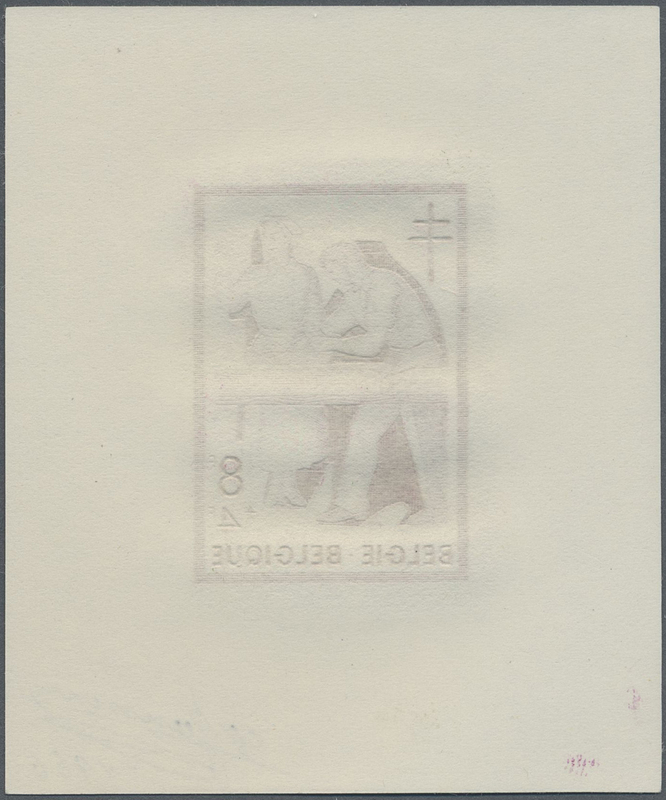 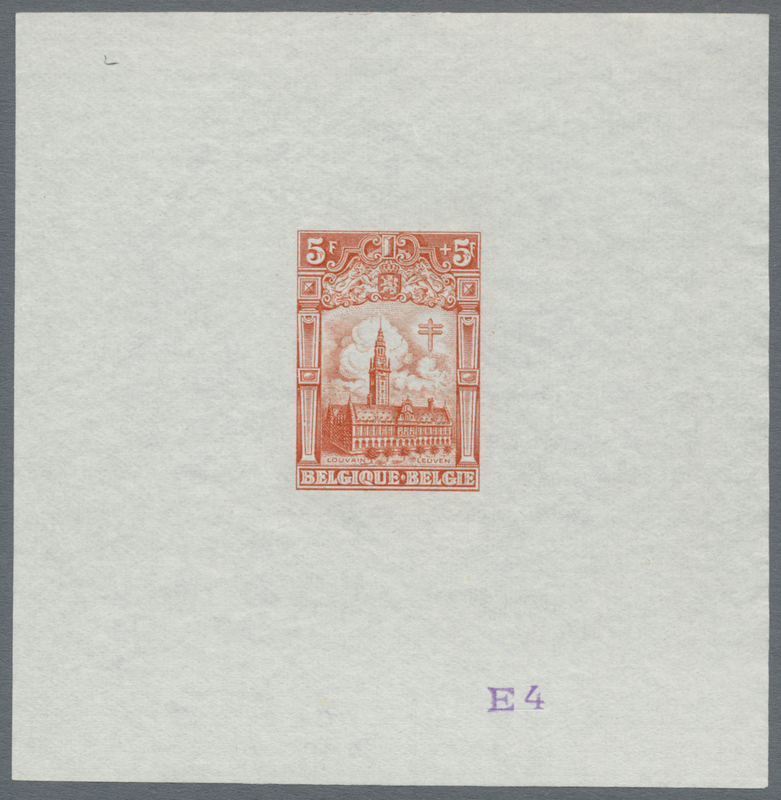 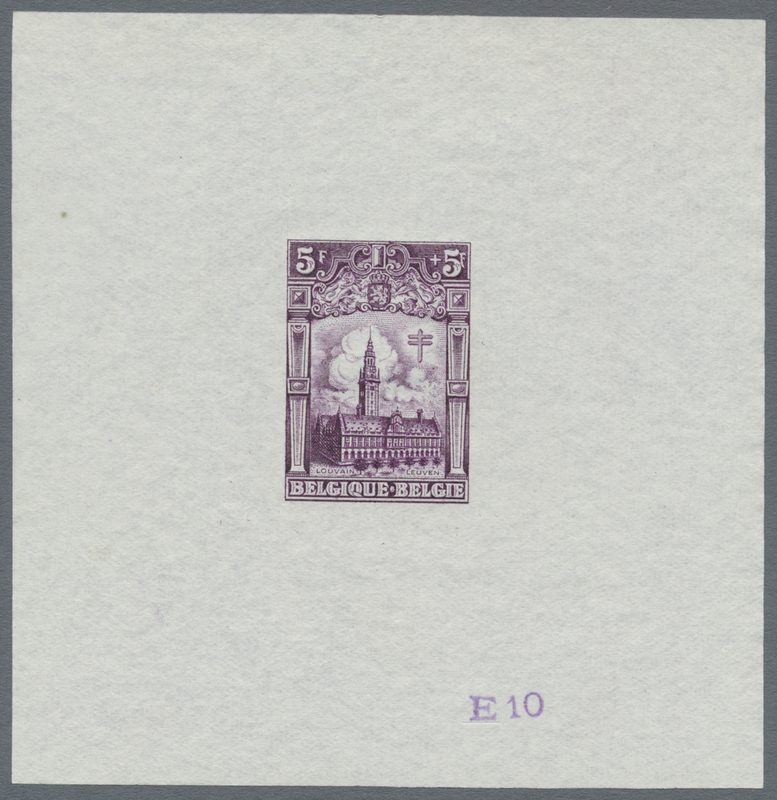 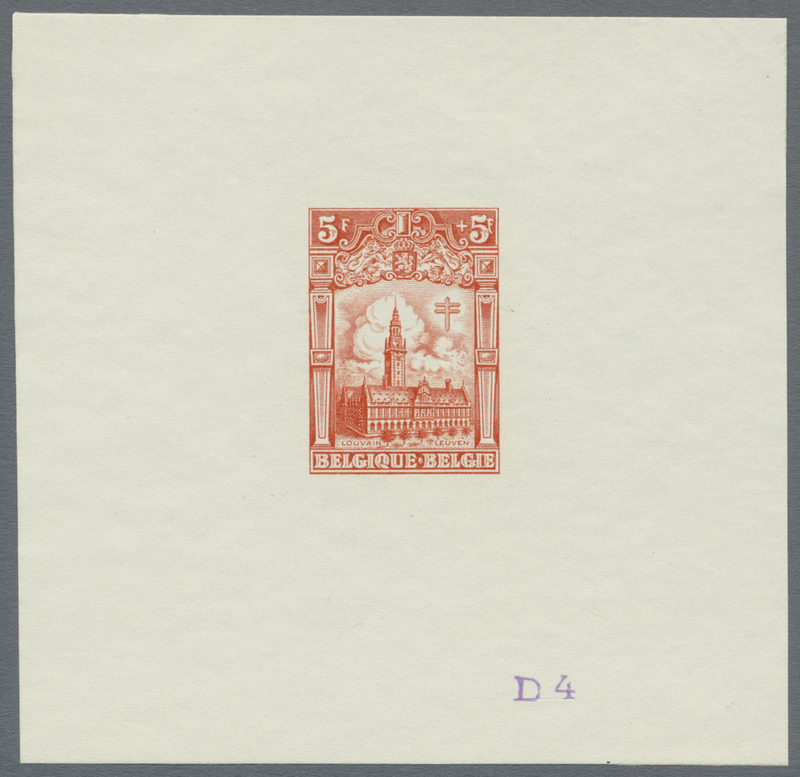 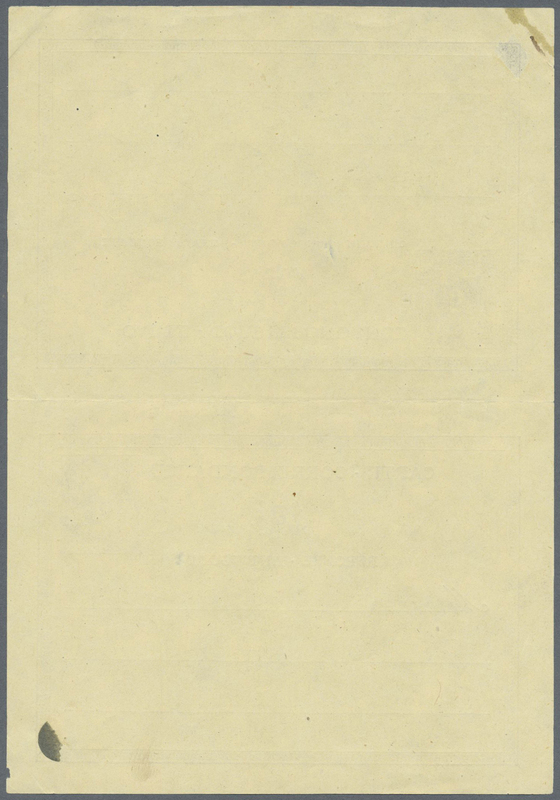 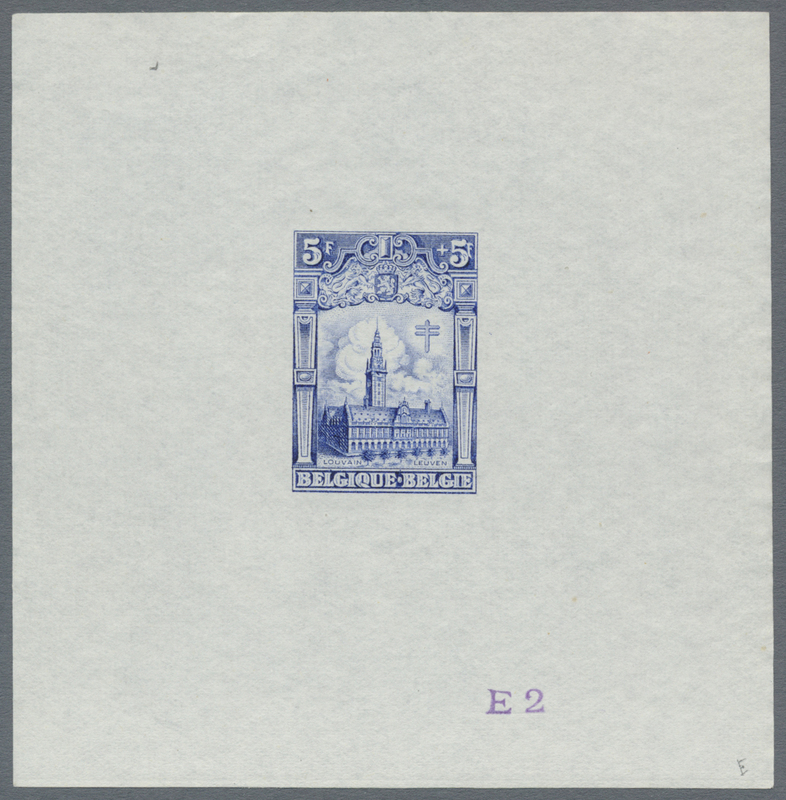 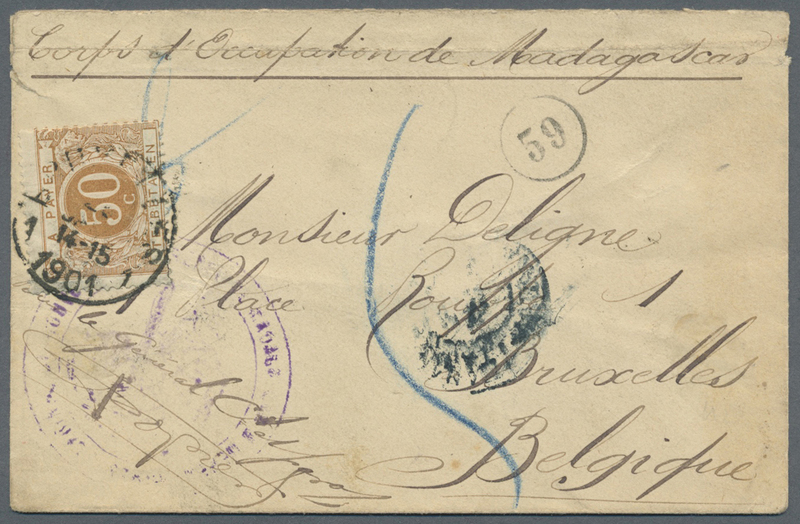 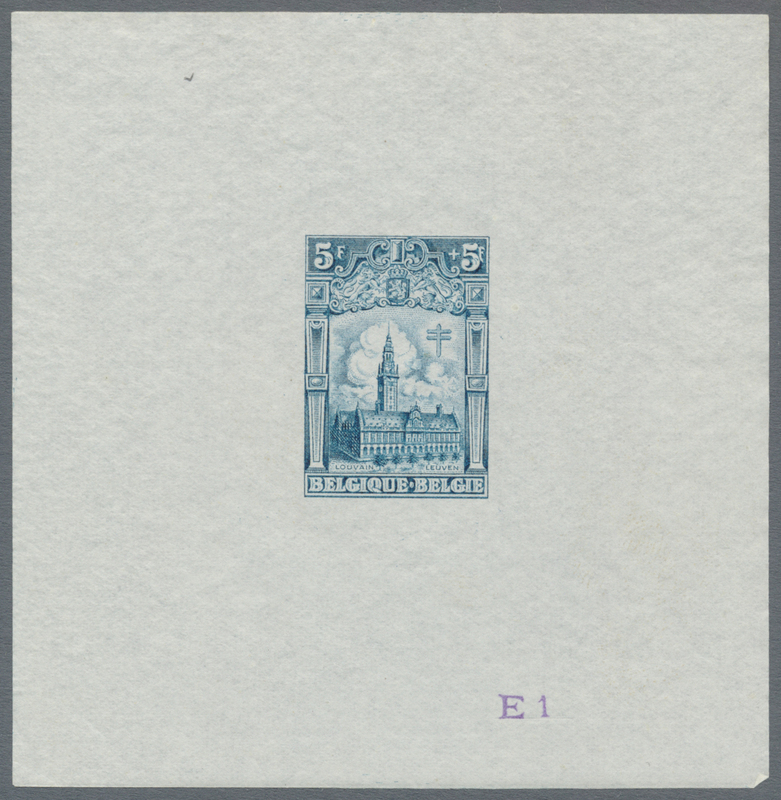 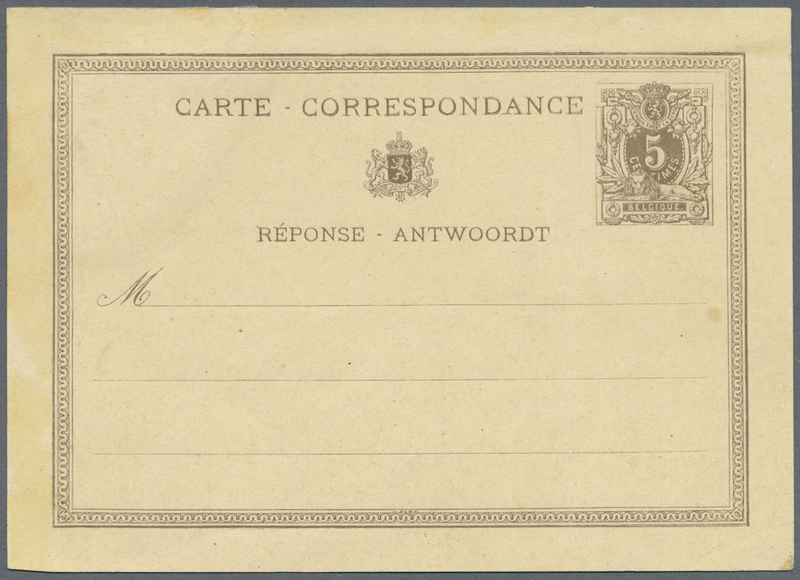 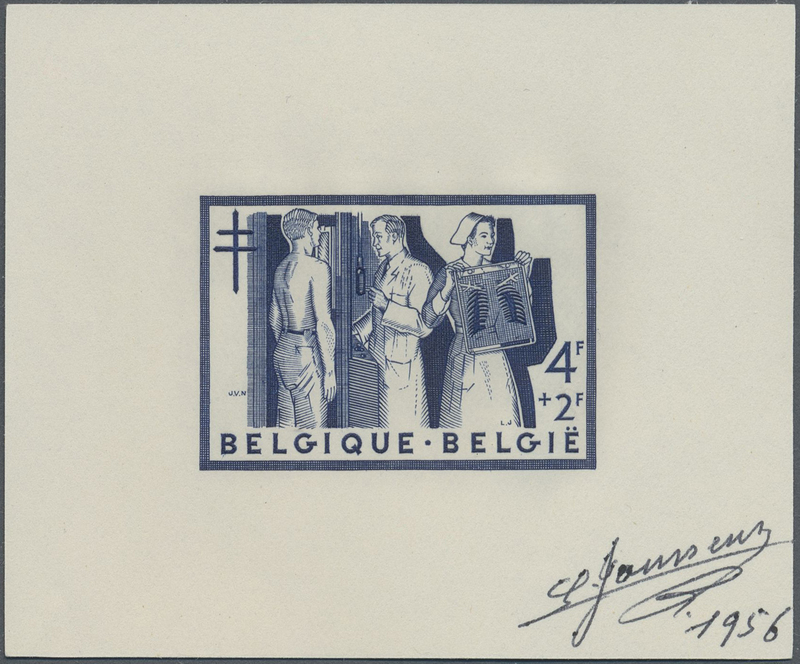 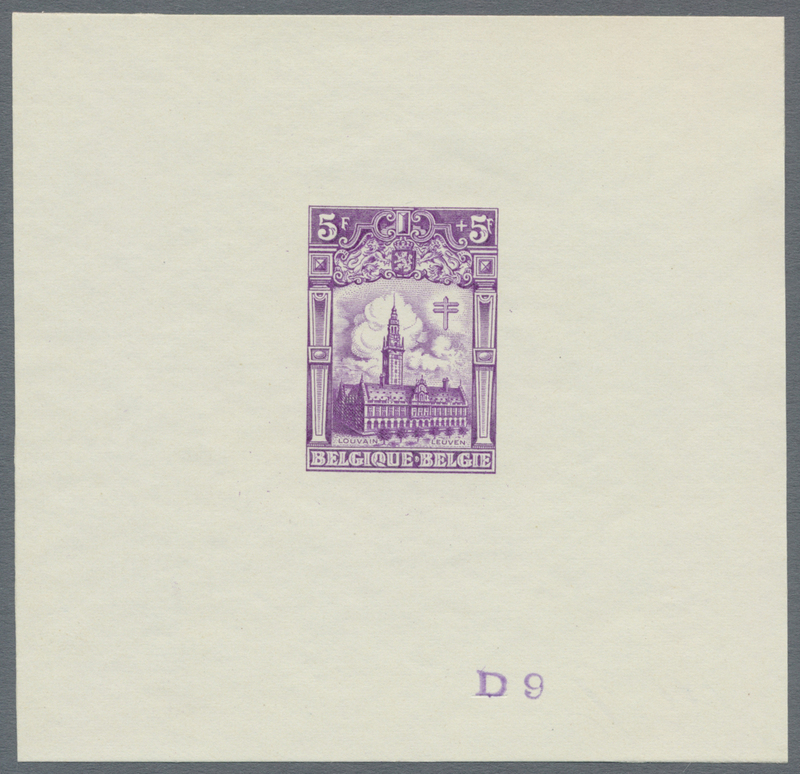 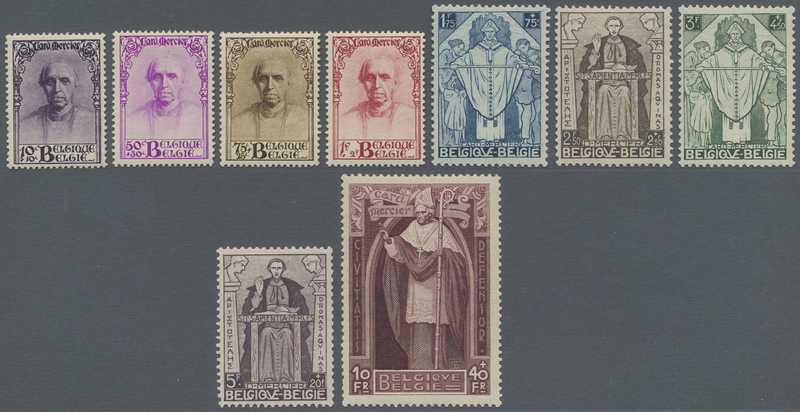 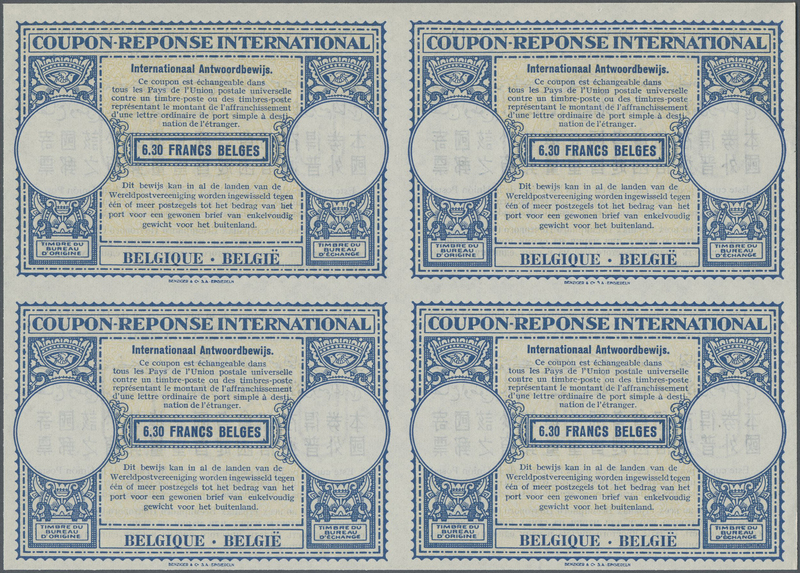 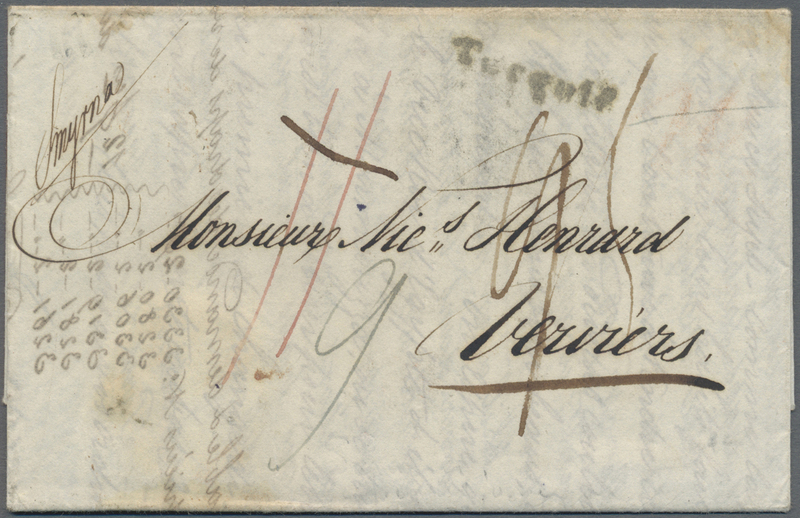 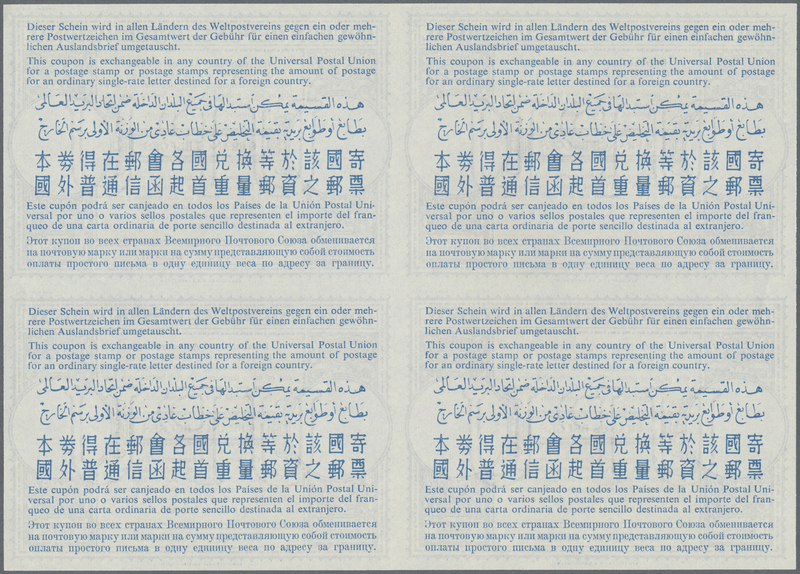 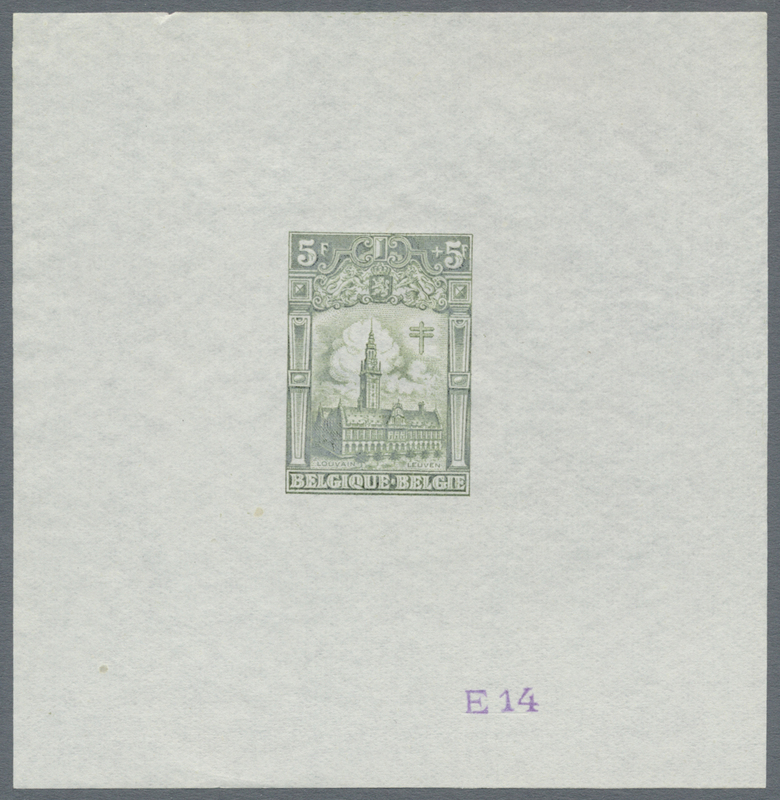 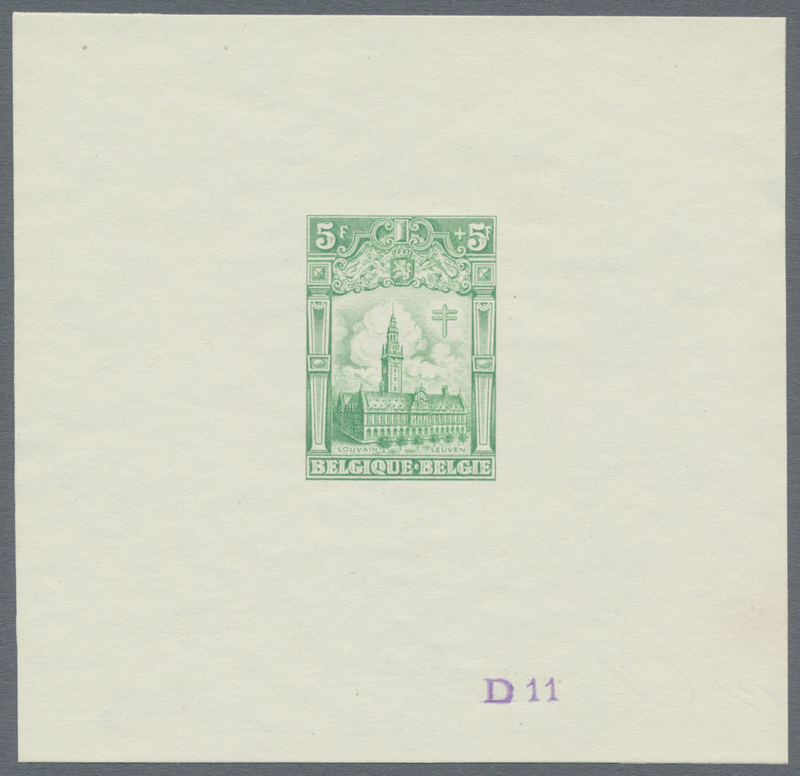 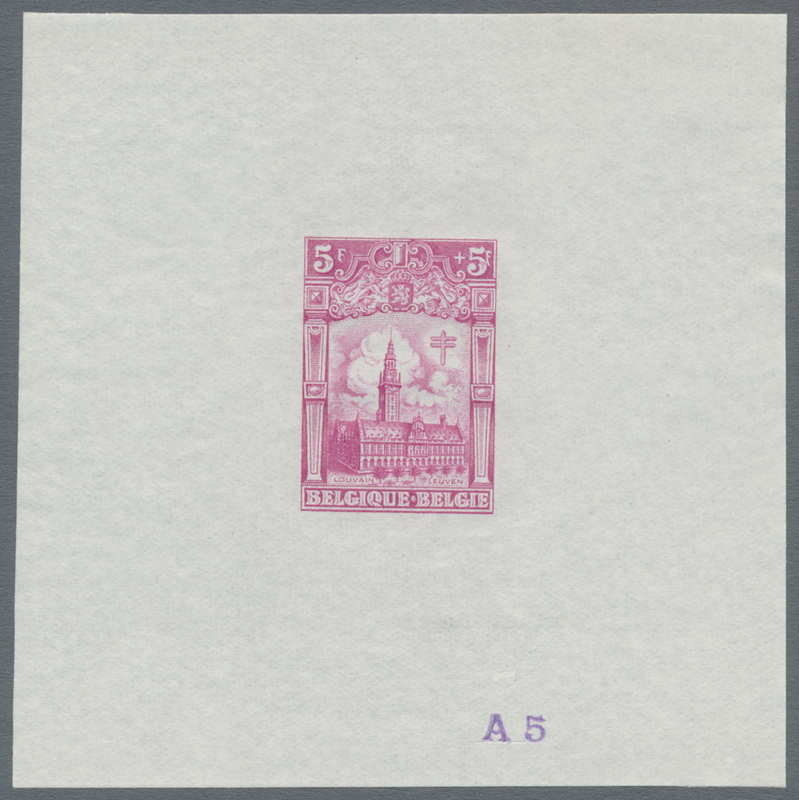 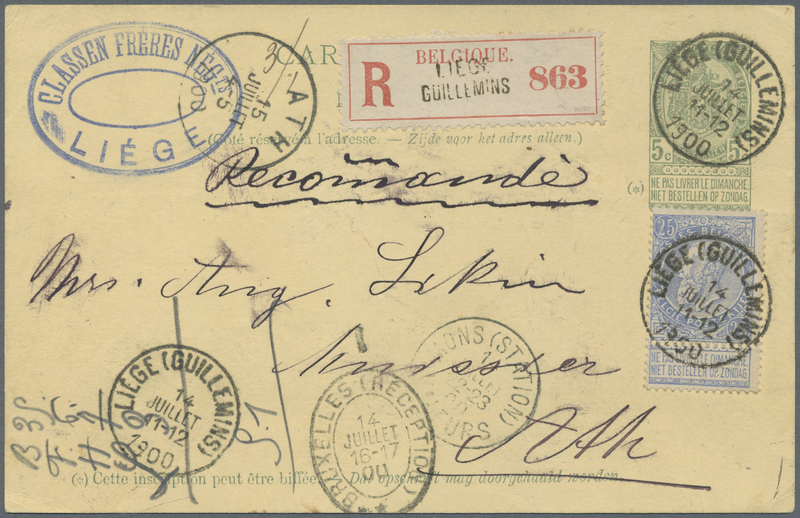 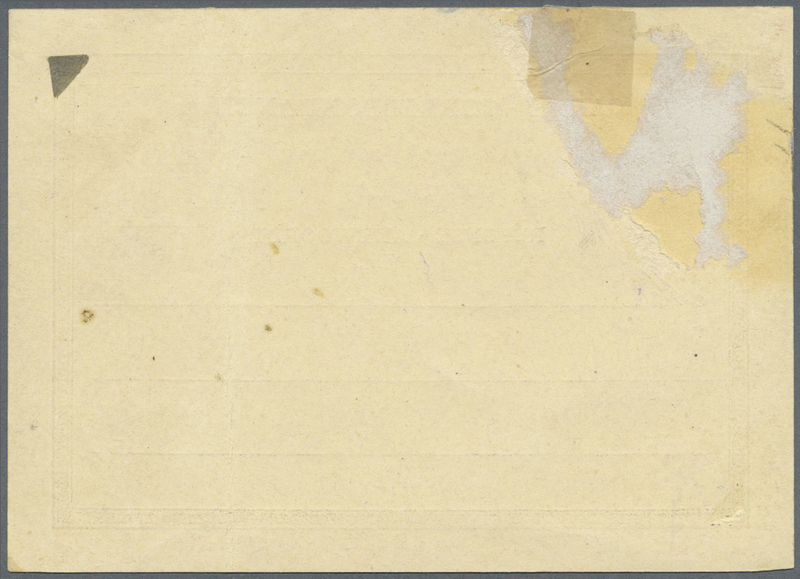 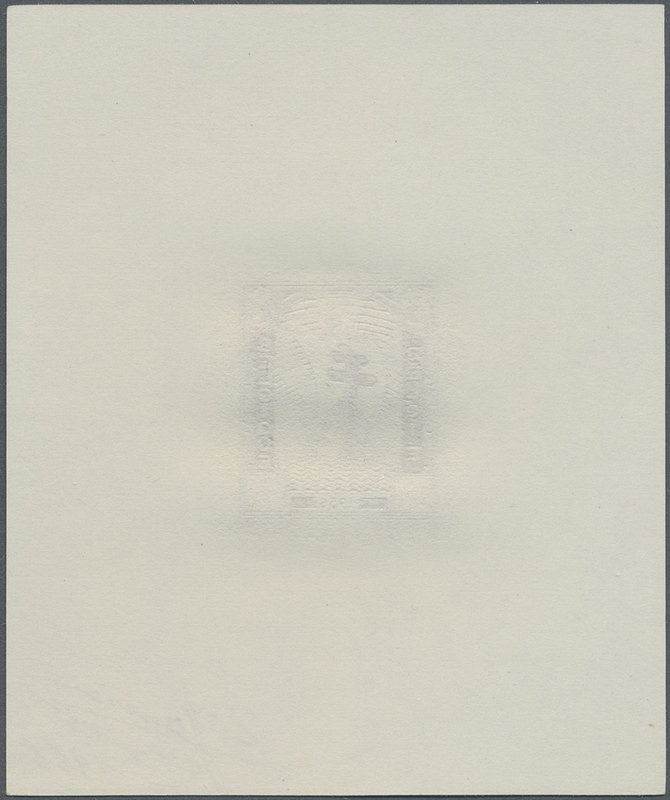 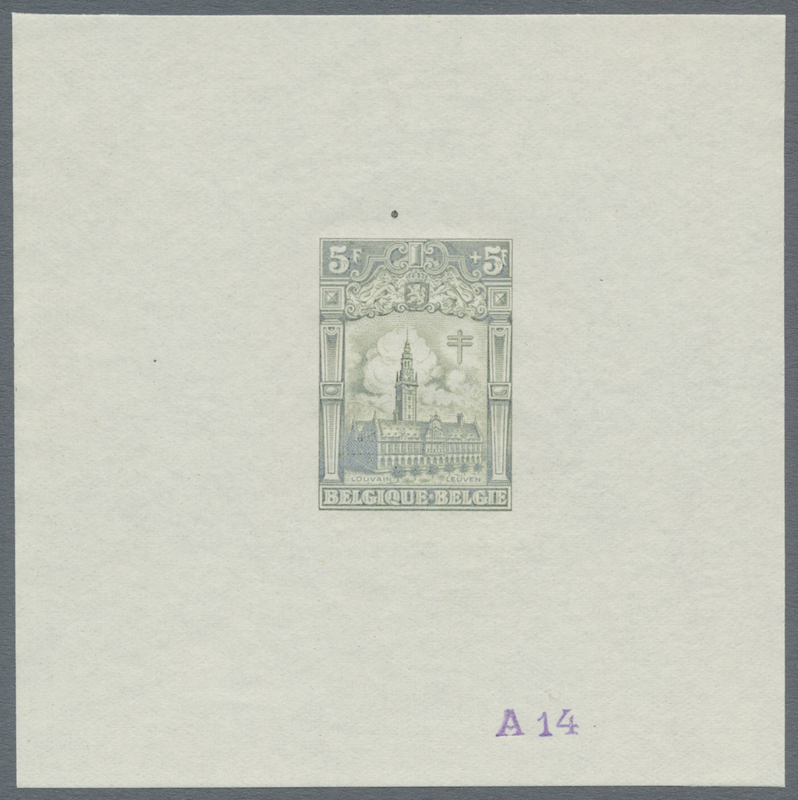 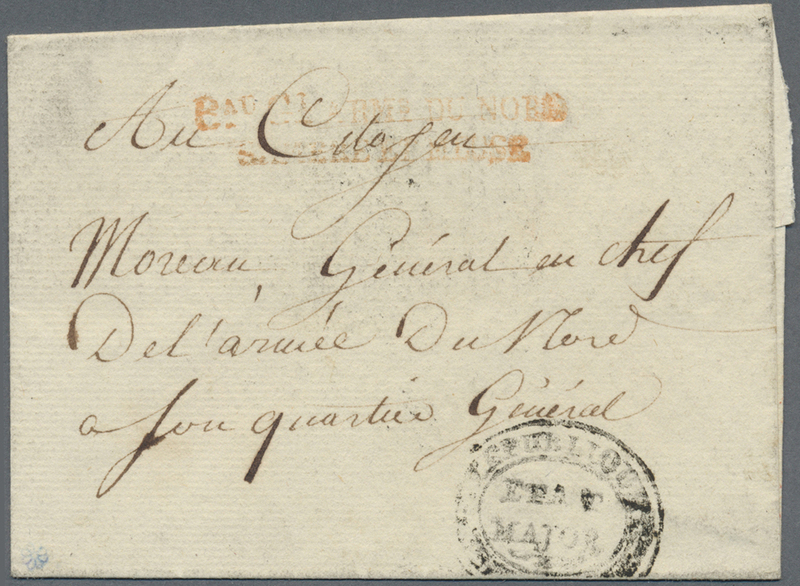 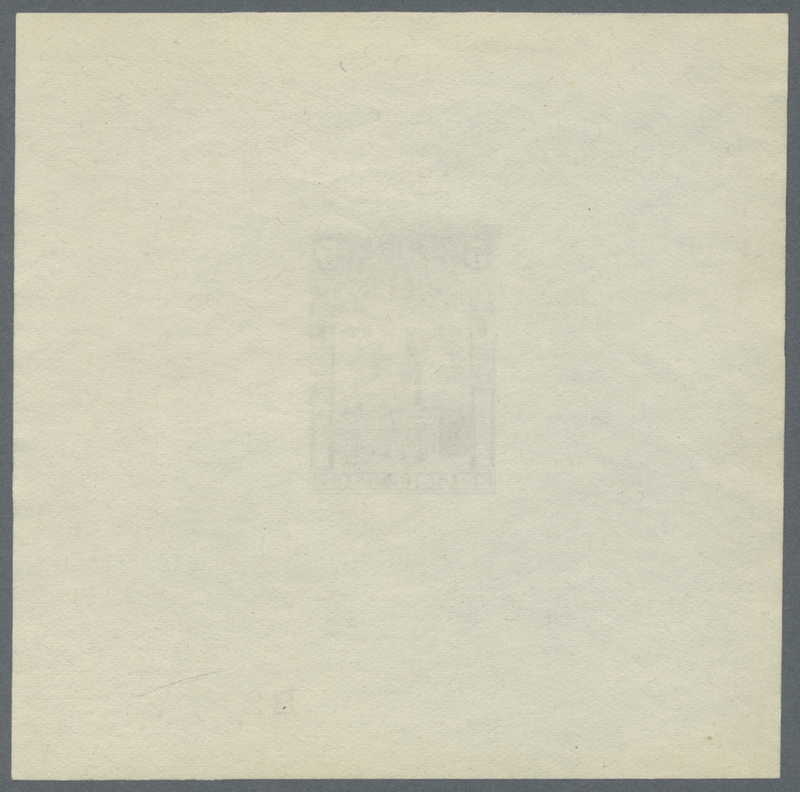 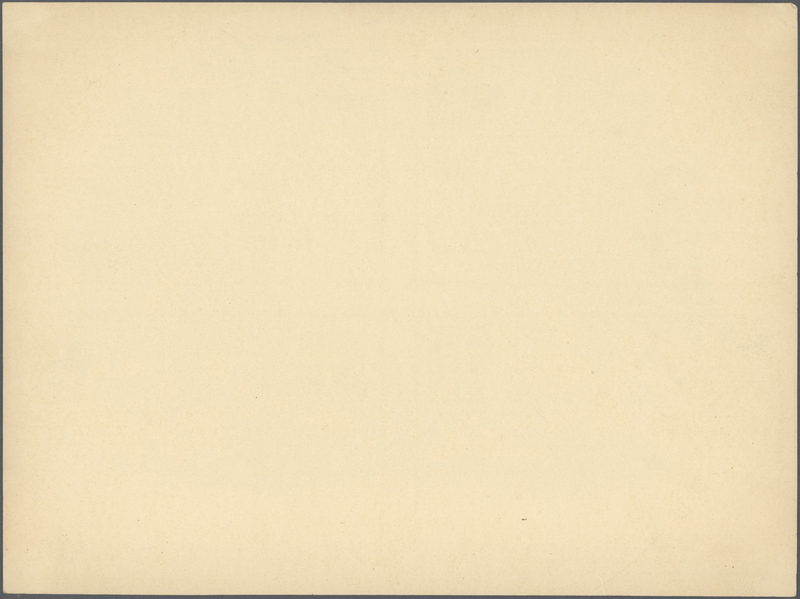 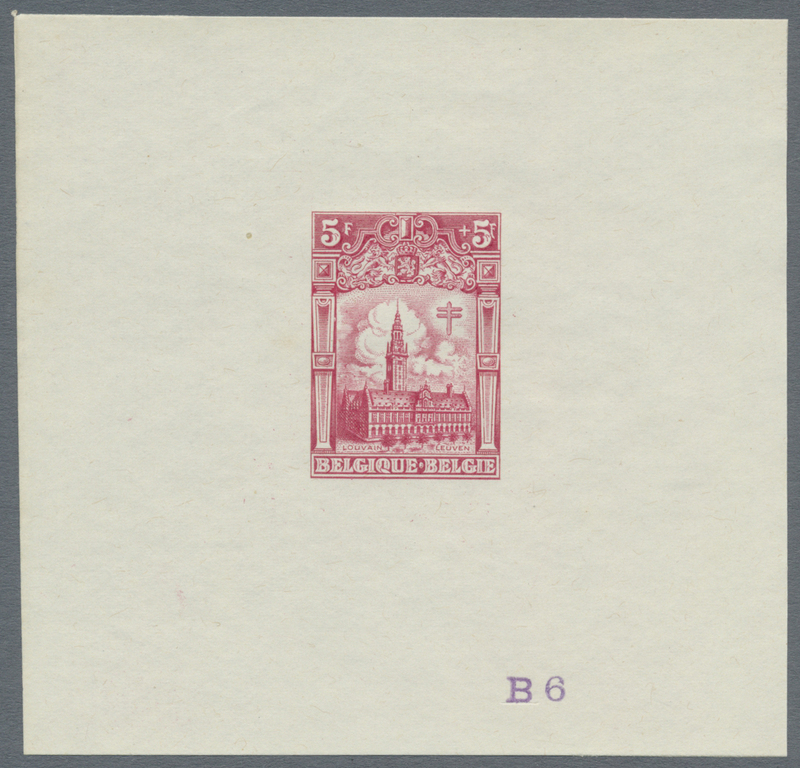 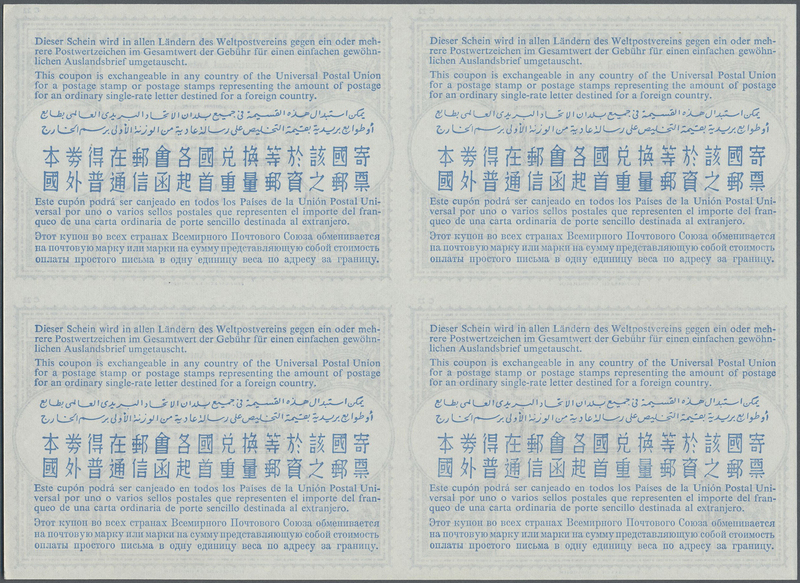 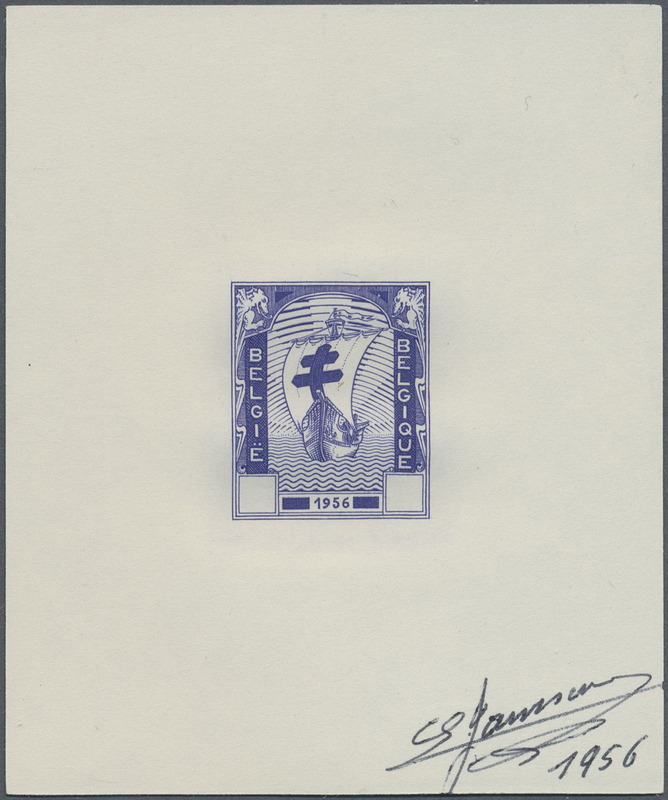 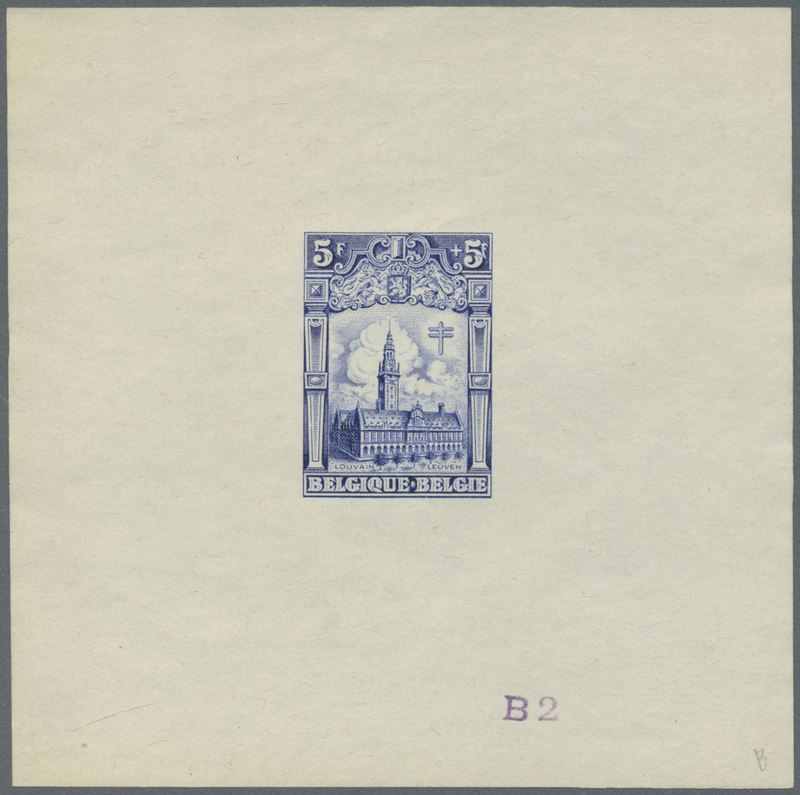 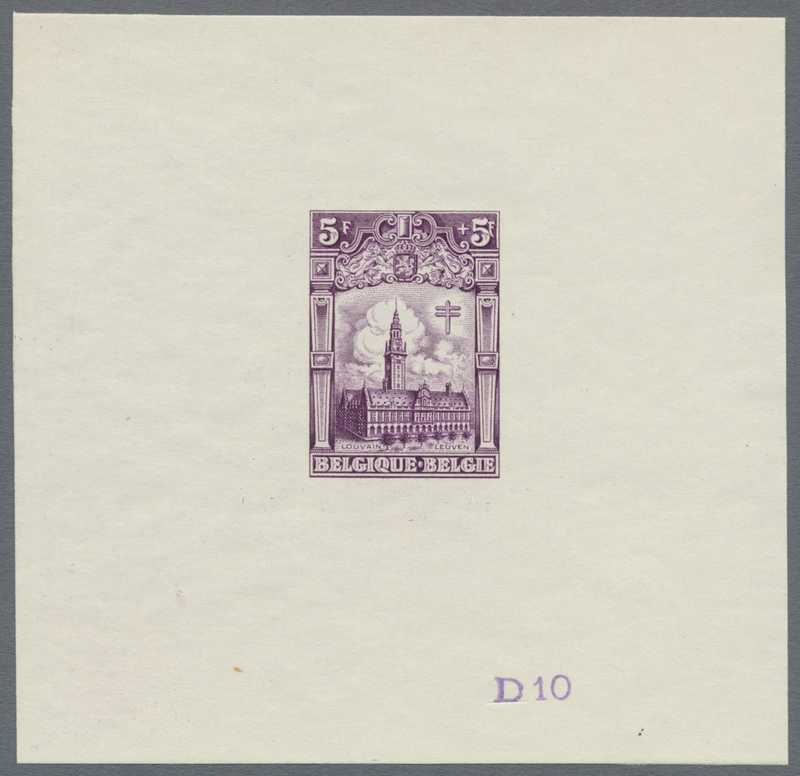 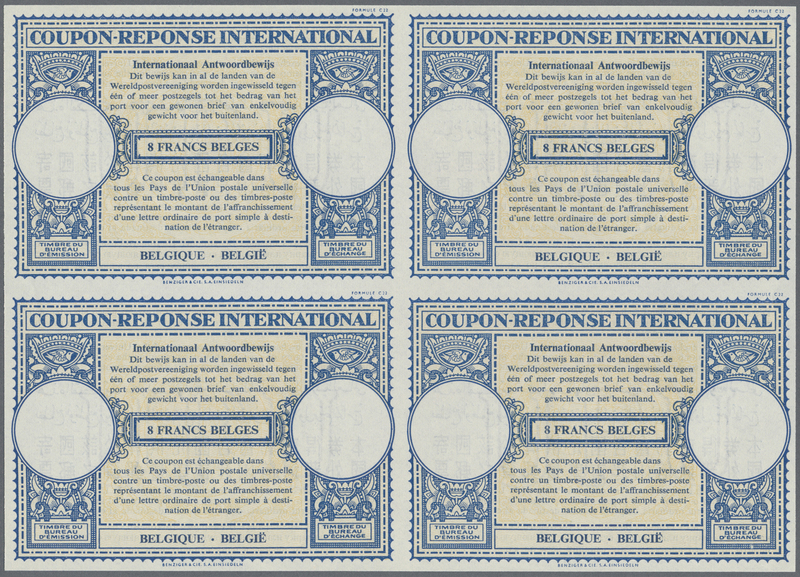 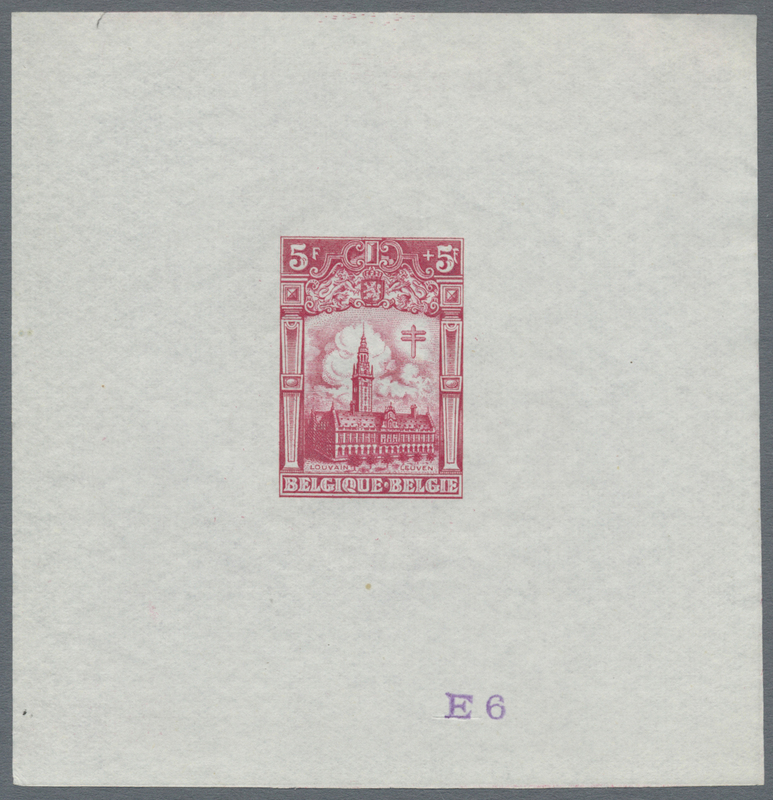 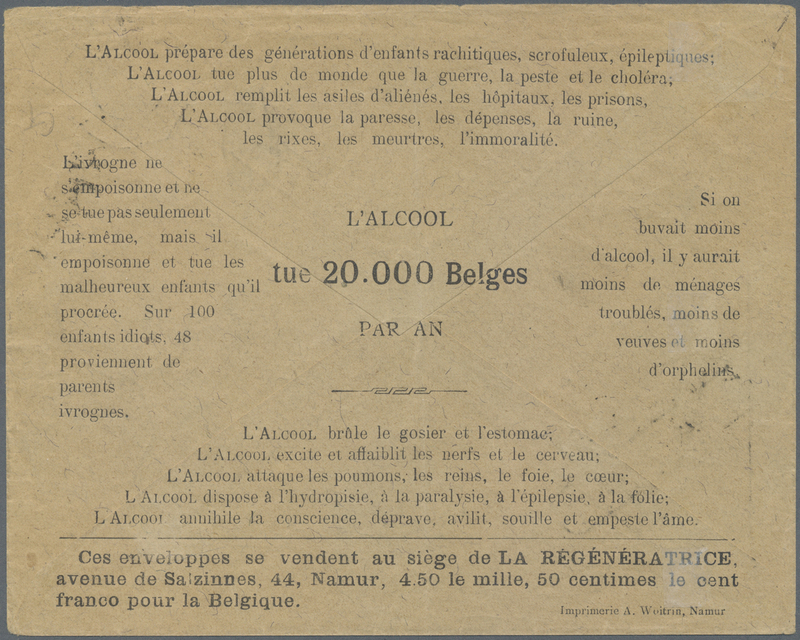 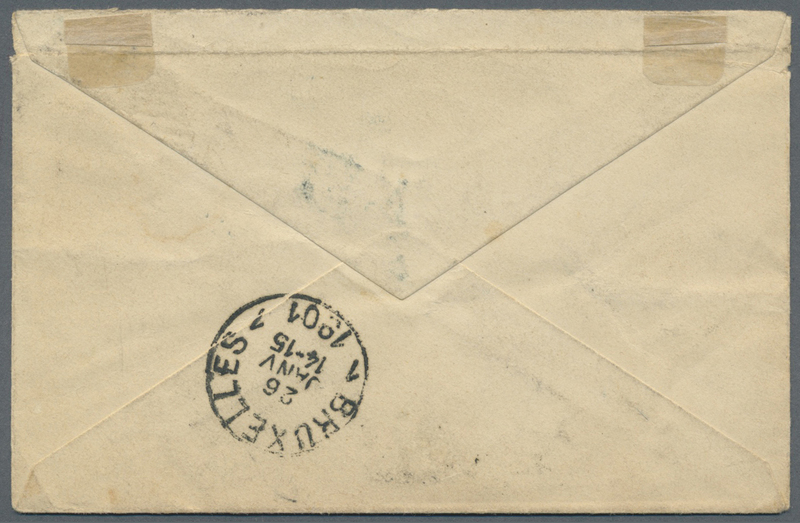 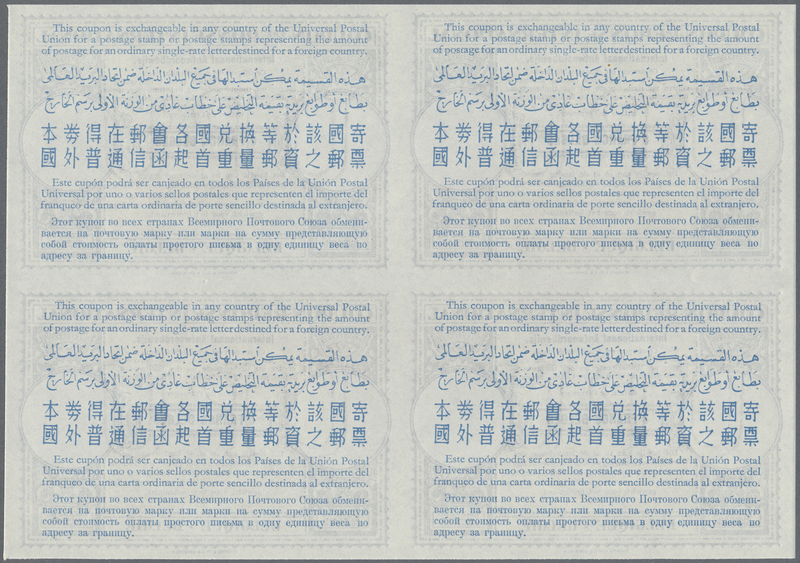 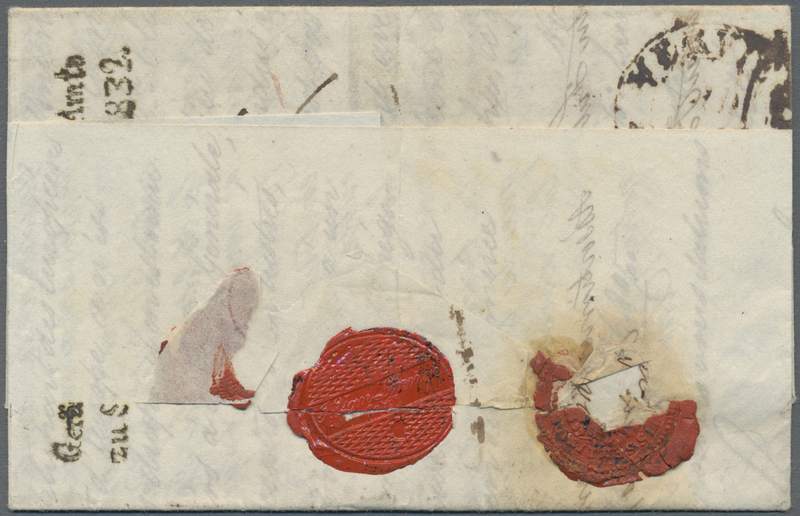 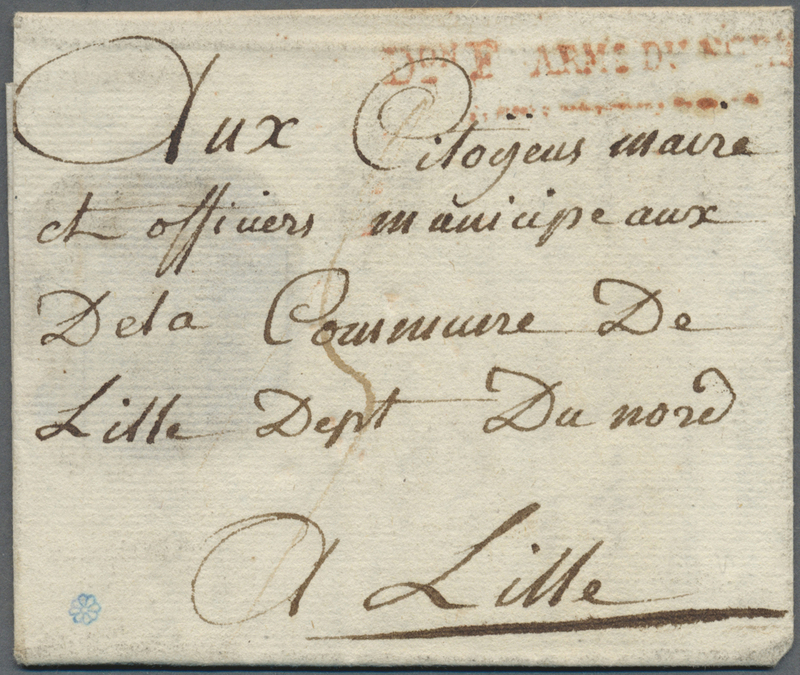 label (with handstamp) and further strike of the despatch cds alongside, Le Havre datestamps on the reverse, fine. 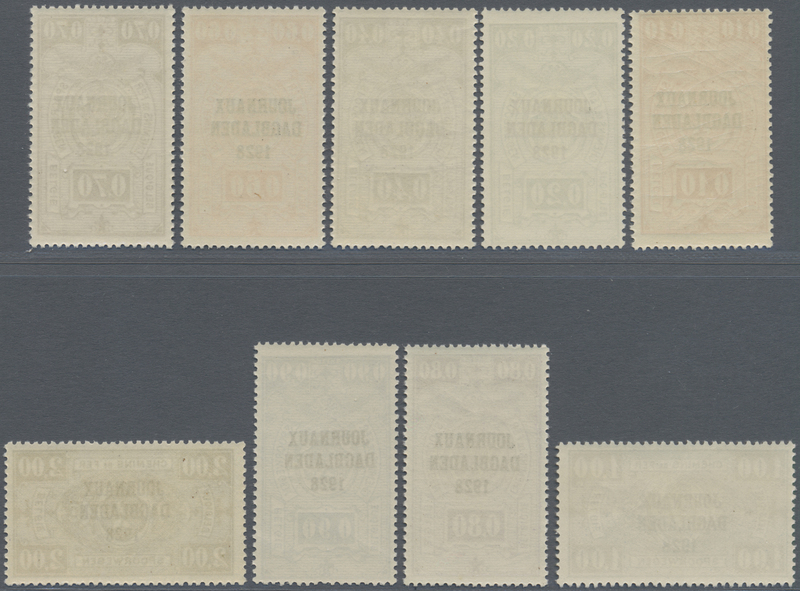 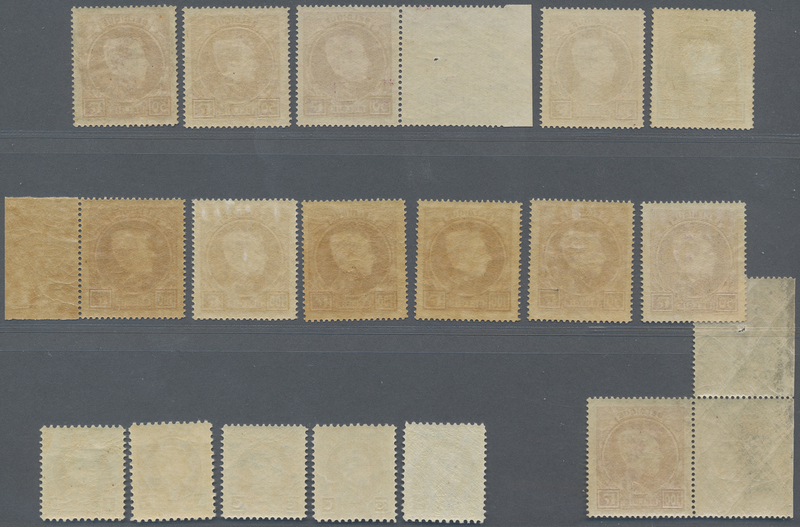 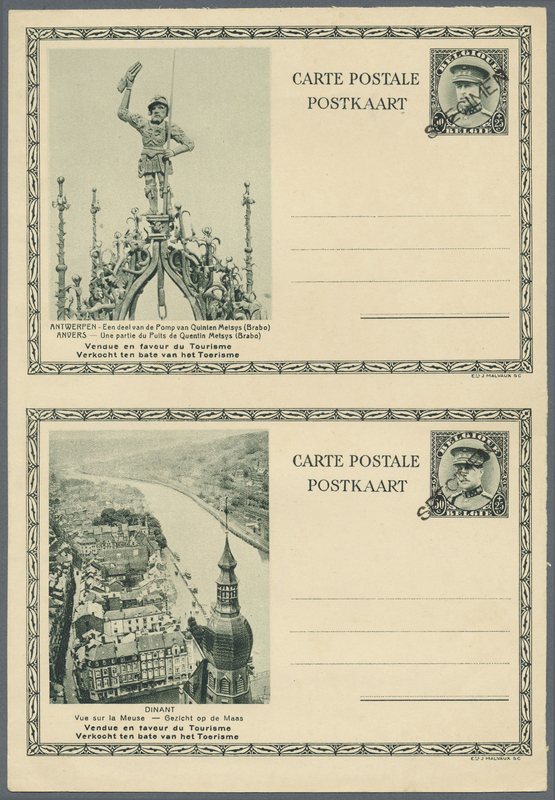 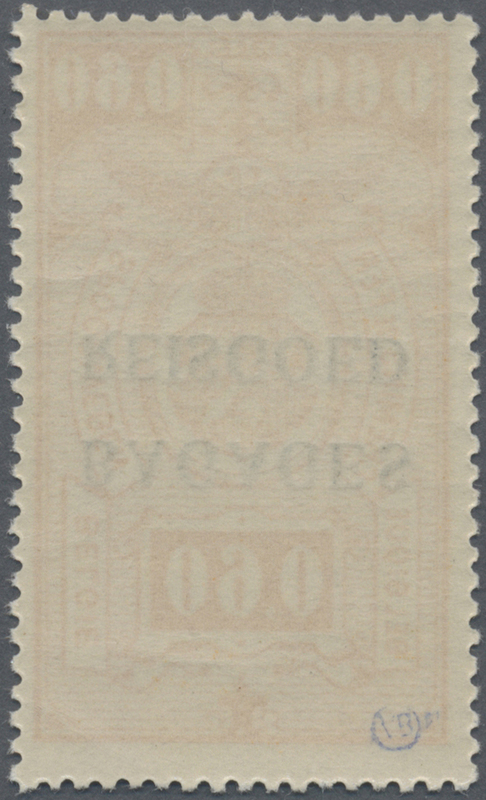 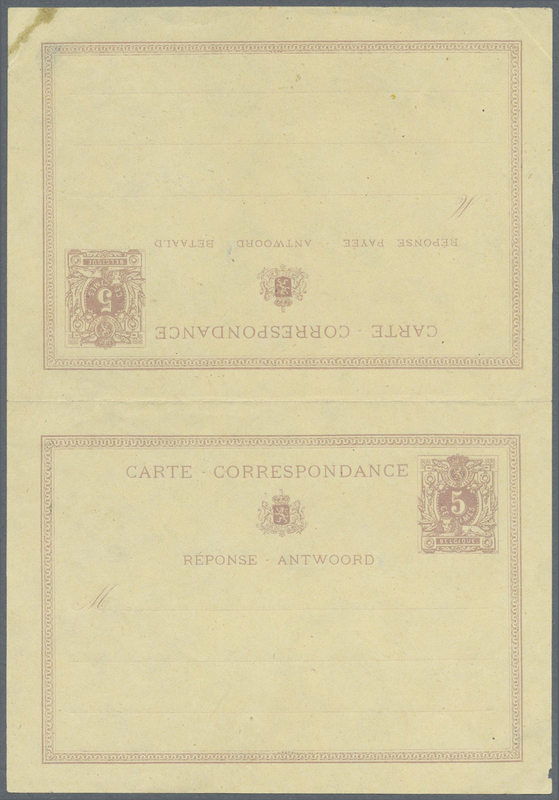 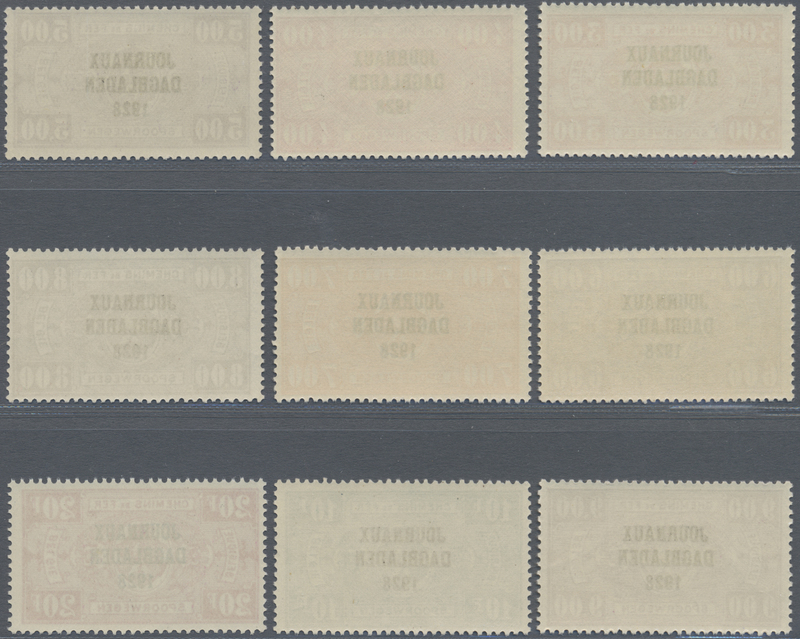 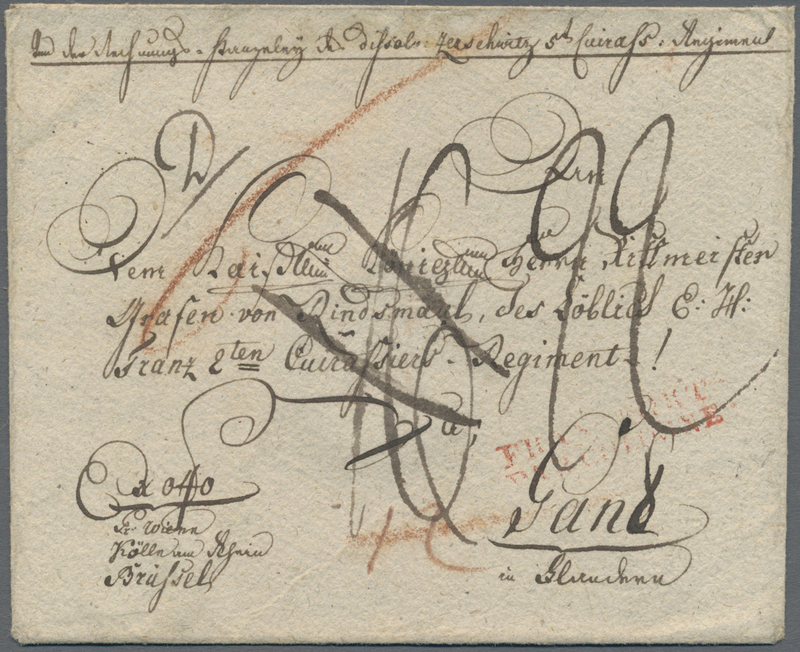 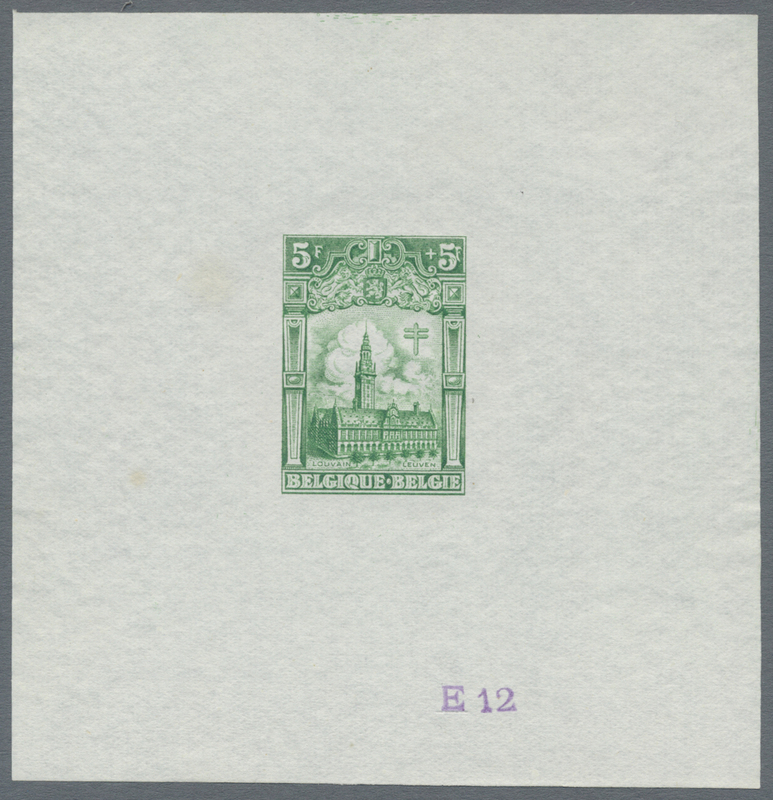 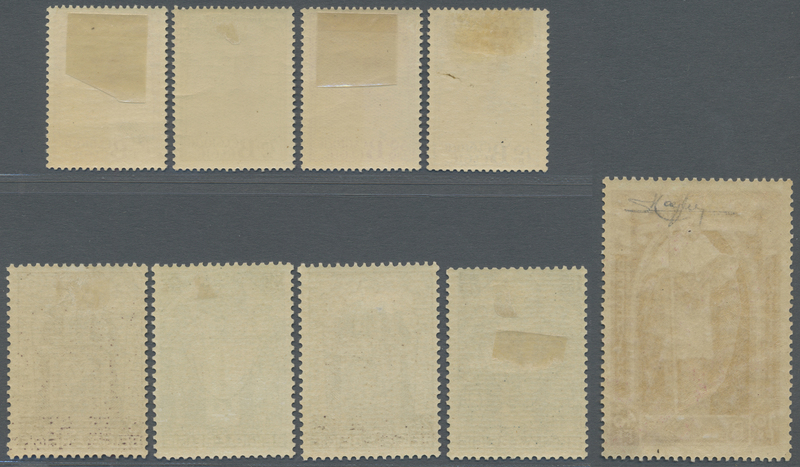 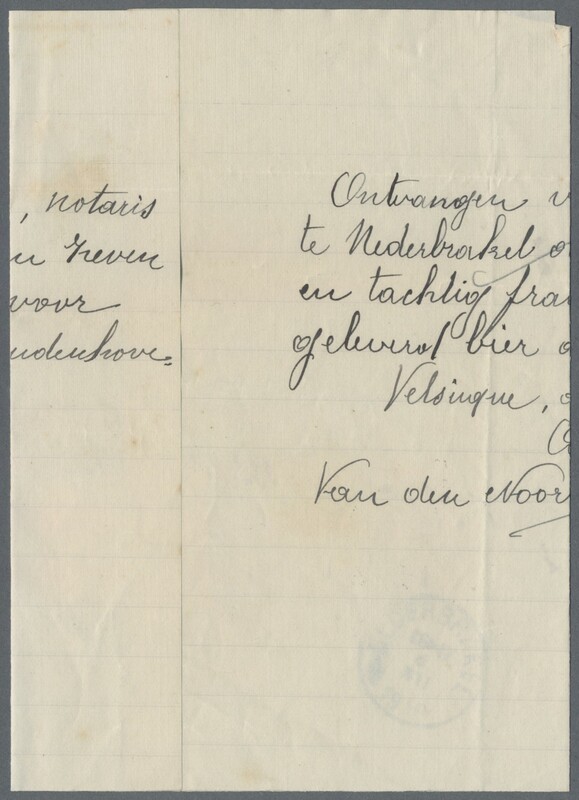 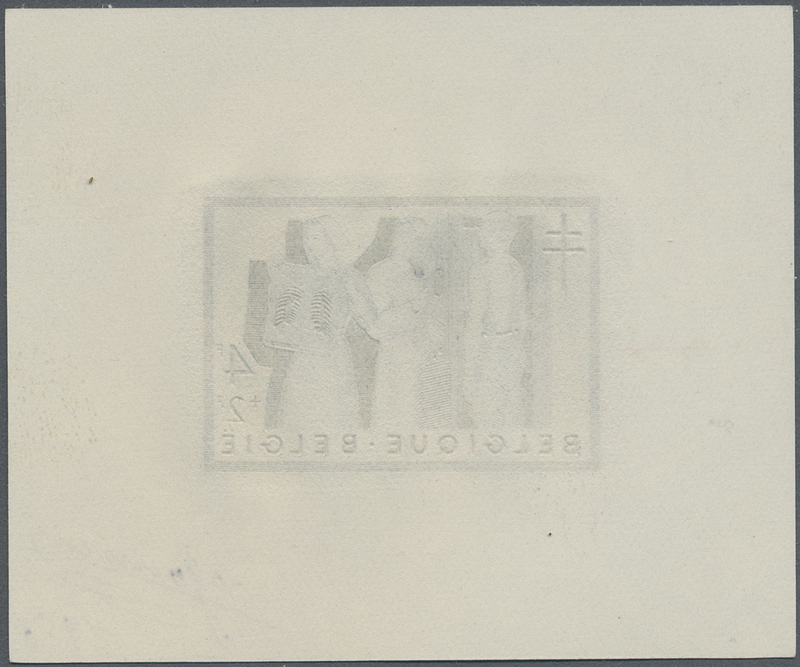 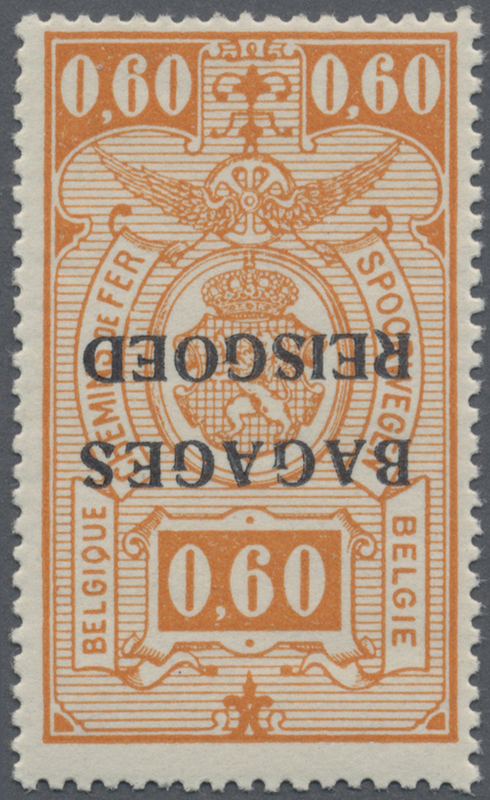 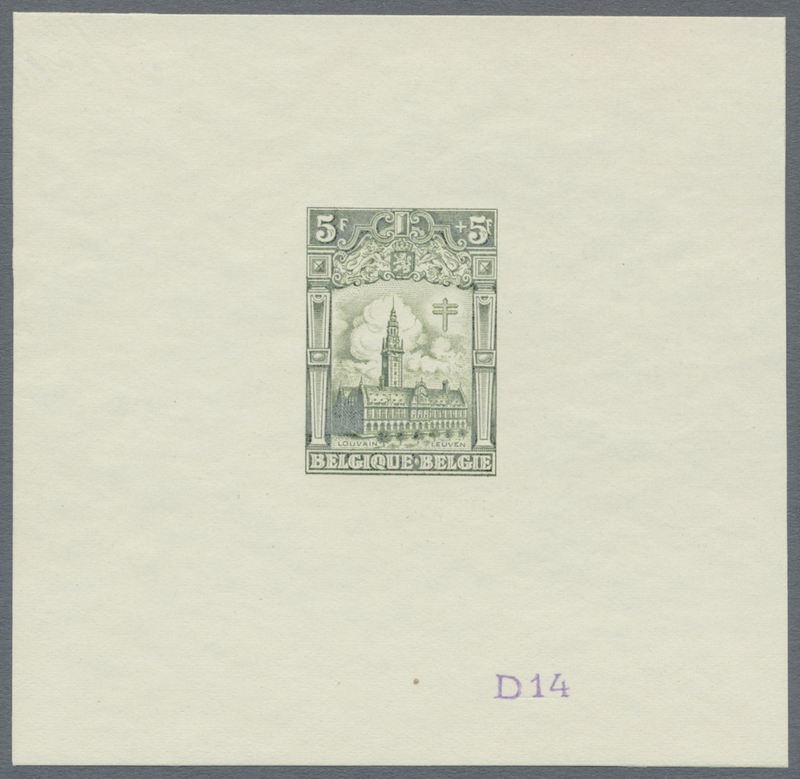 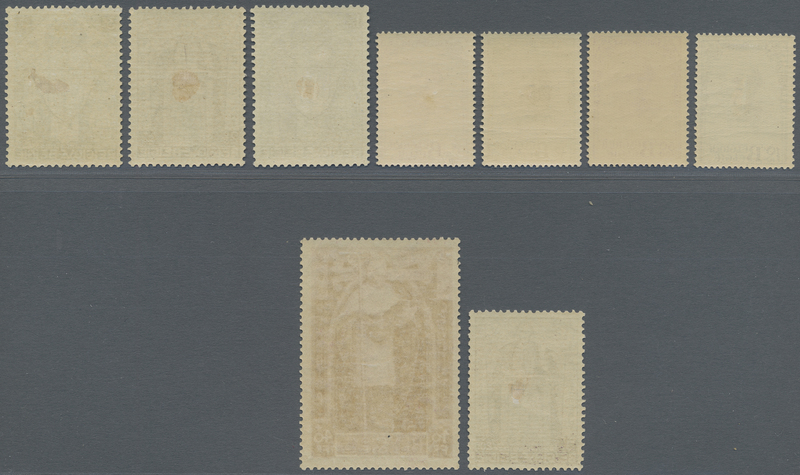 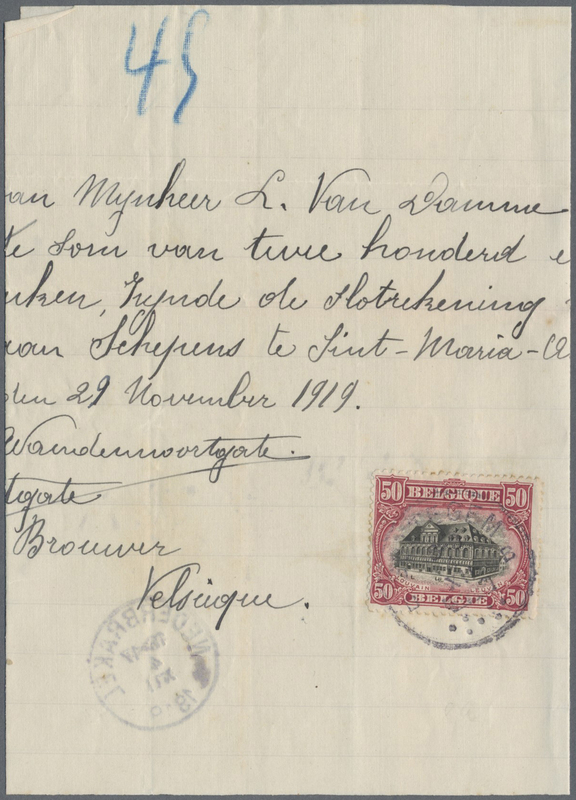 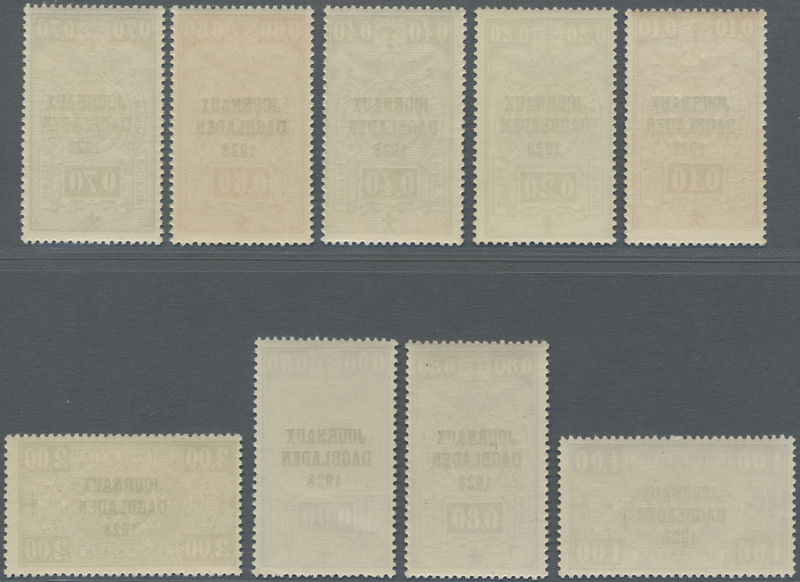 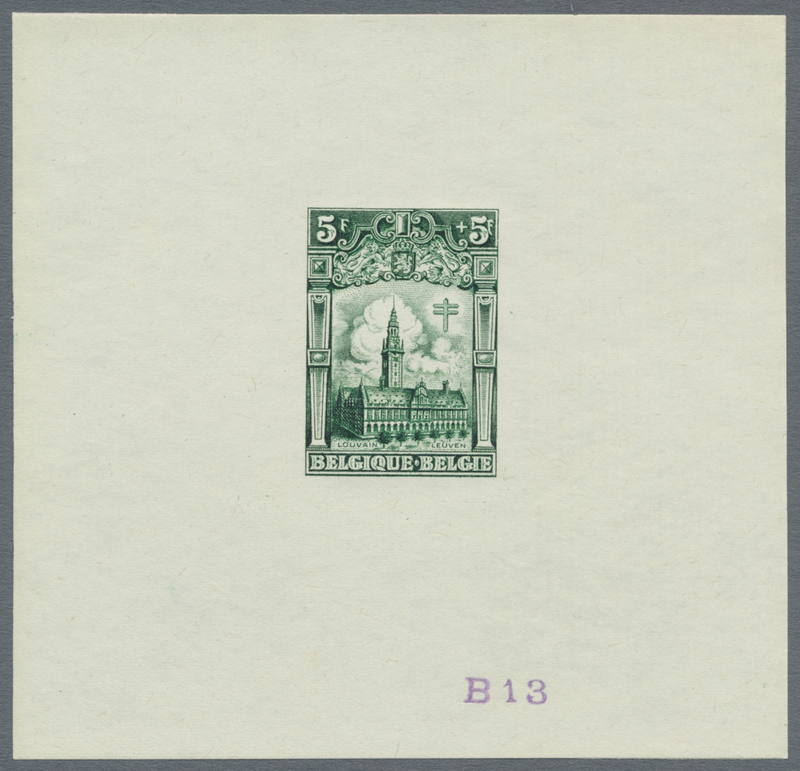 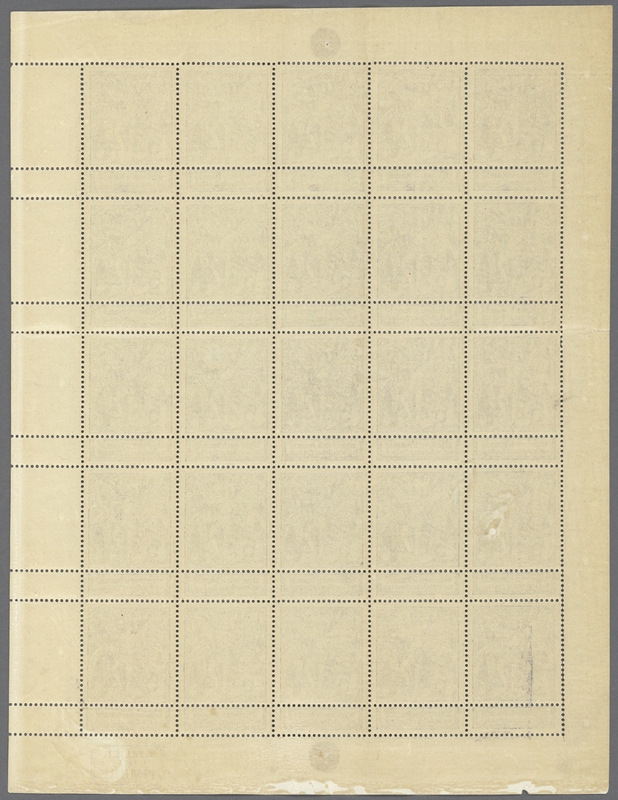 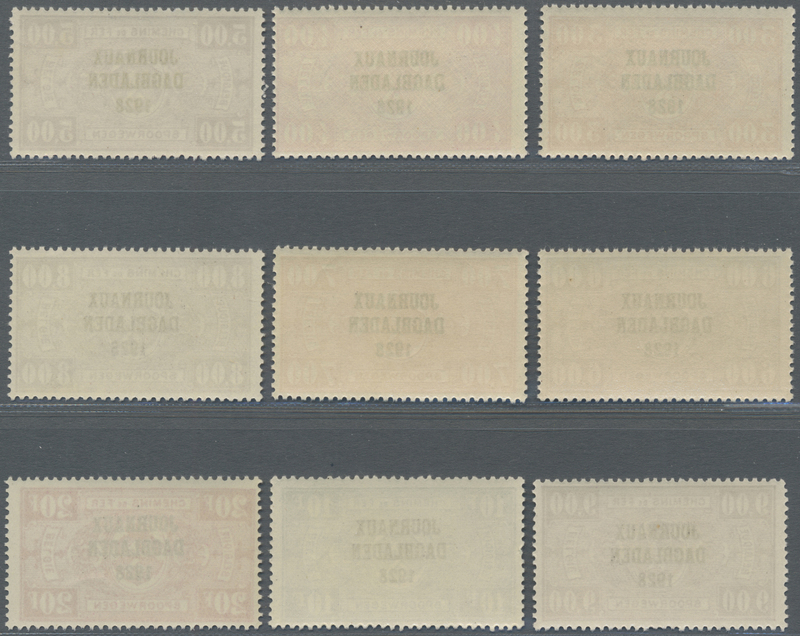 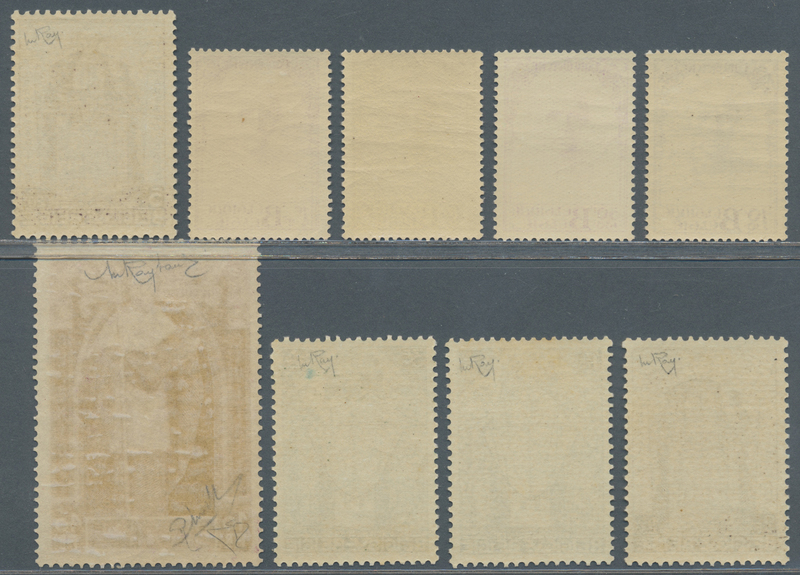 15148 Briefstück (on piece) COB TE21 1891, 25 C. Telefonmarke auf Abschnitt, tadellos gestempelt "BORGERHOUT (ANVERS) 3 DECE 1902", COB TE21, echt gebrauchte Telefonmarken auf Belegen sind sehr selten!